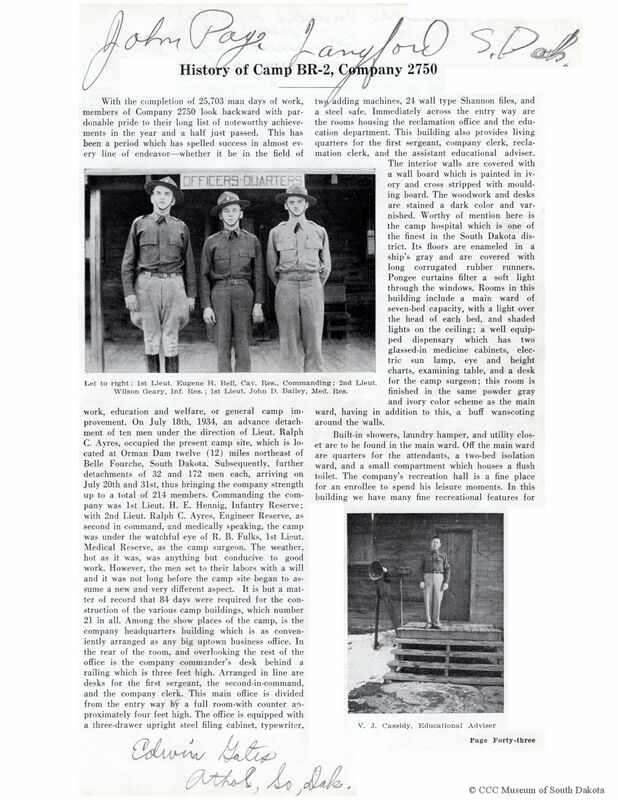 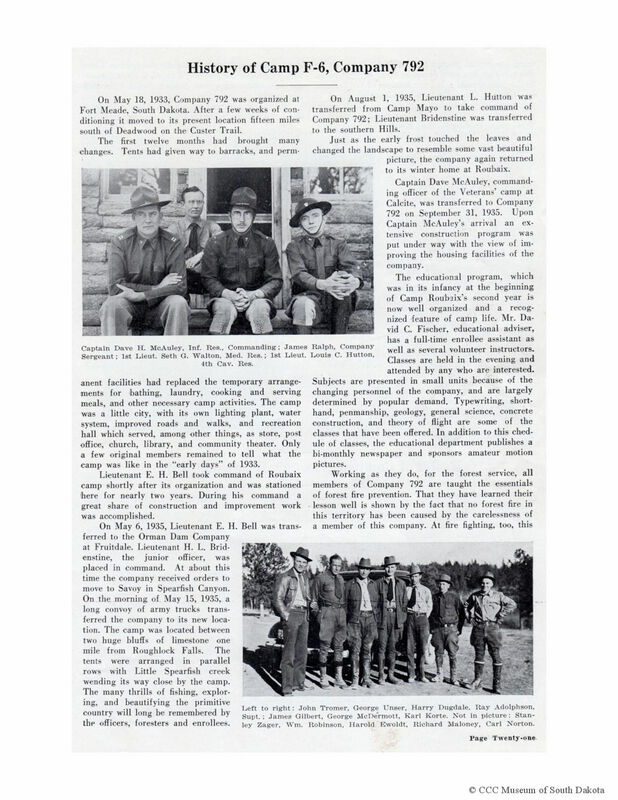 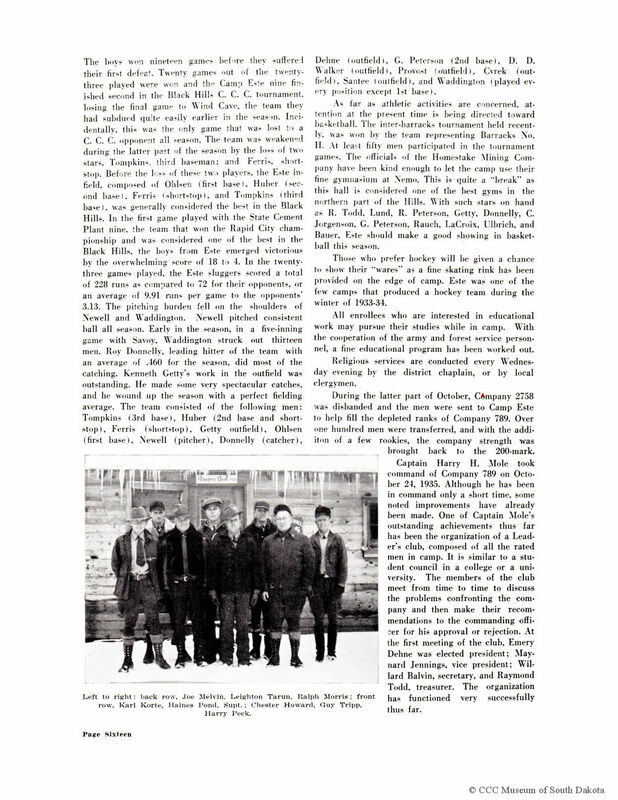 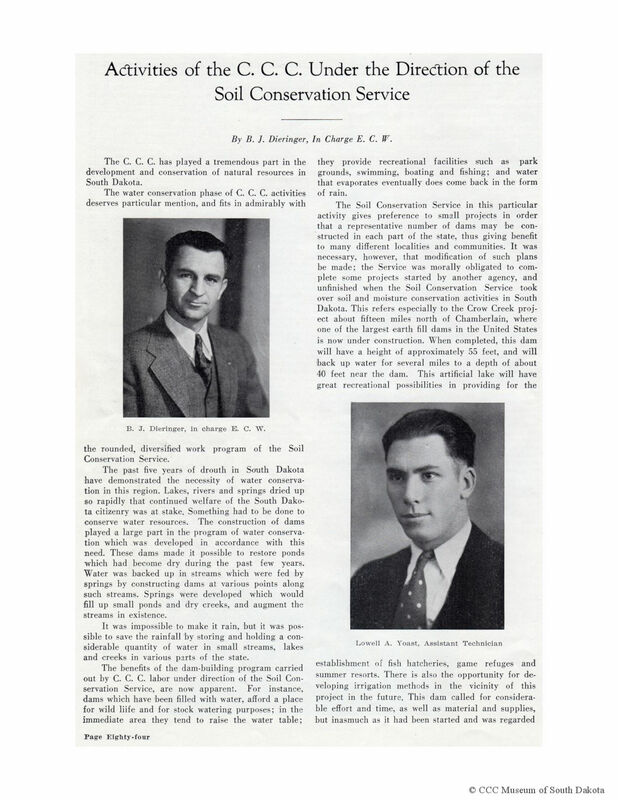 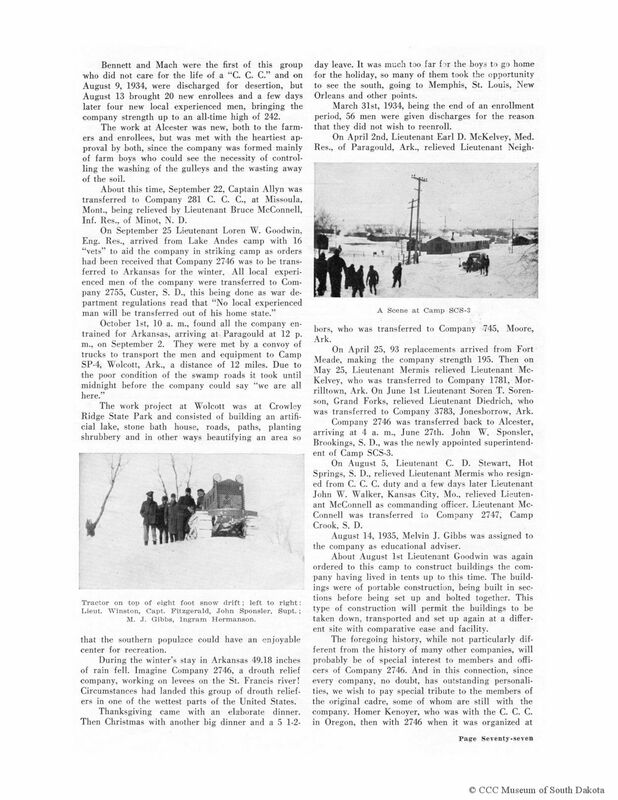 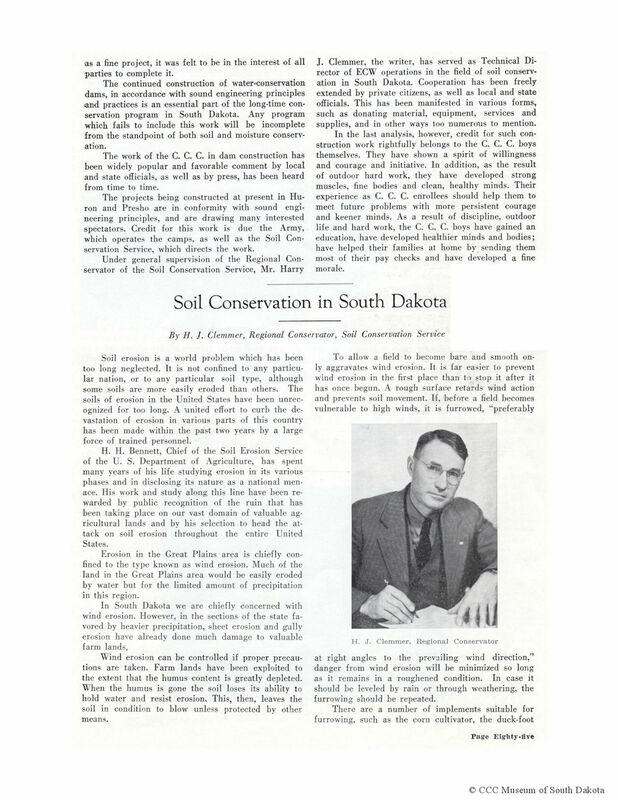 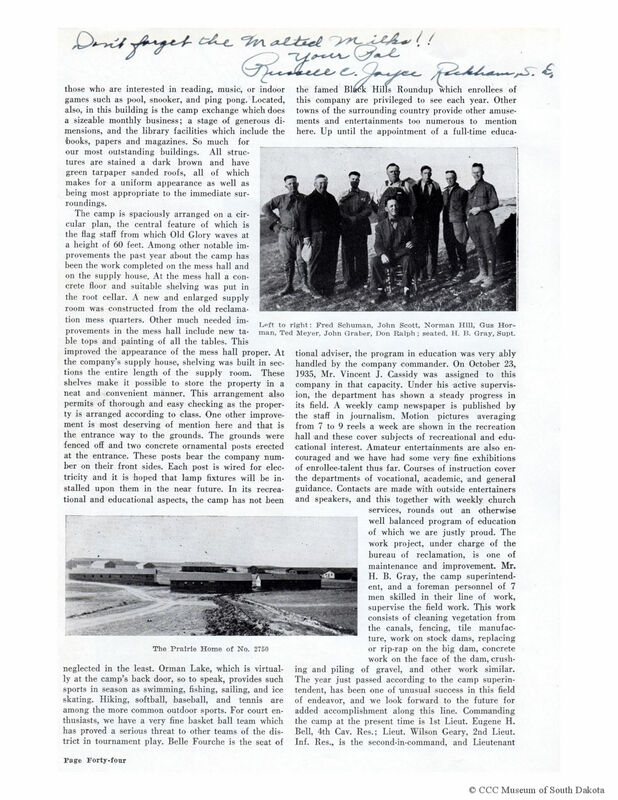 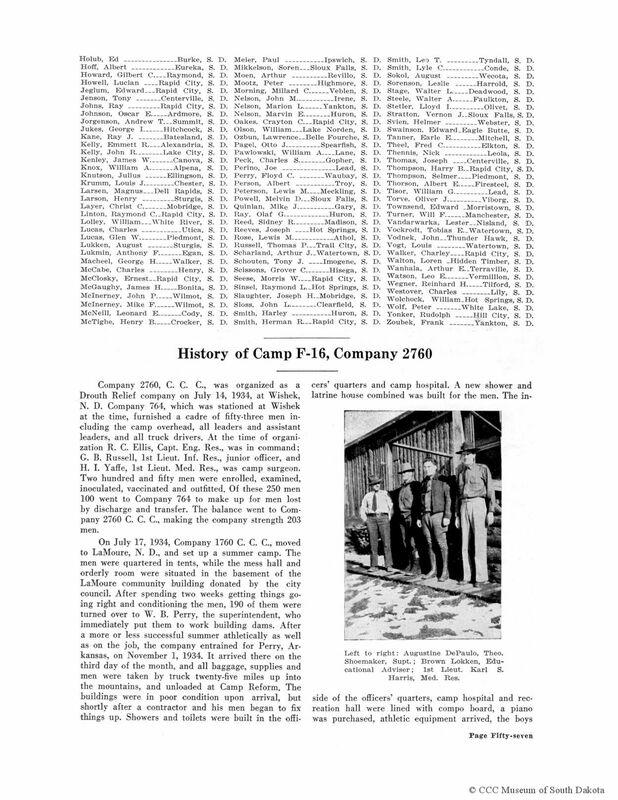 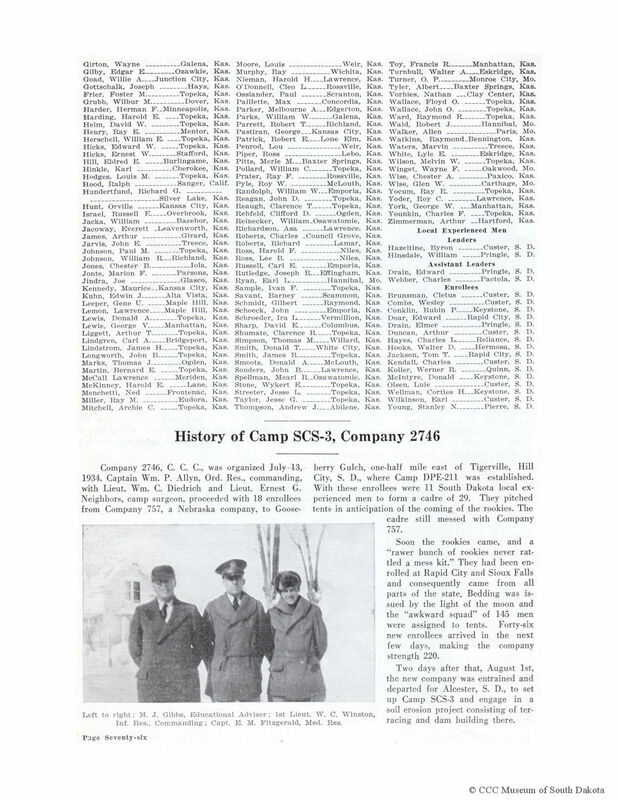 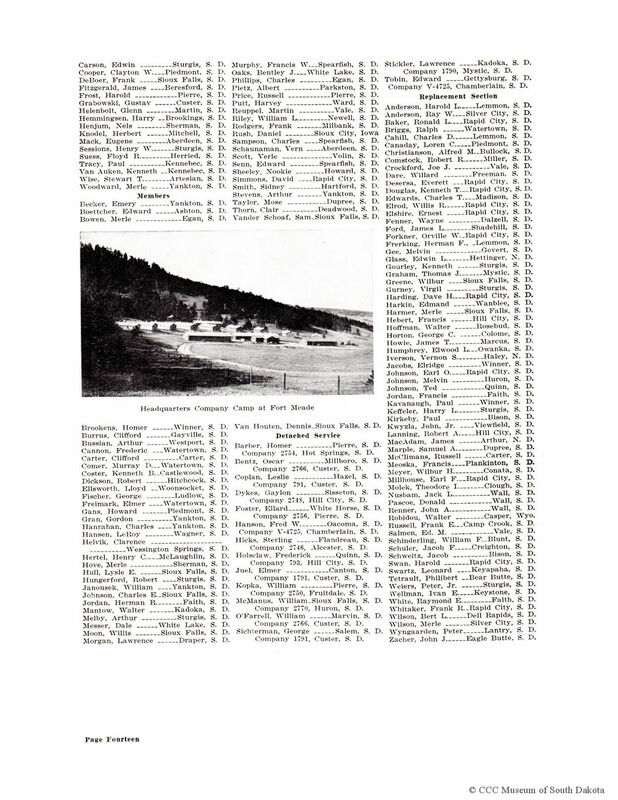 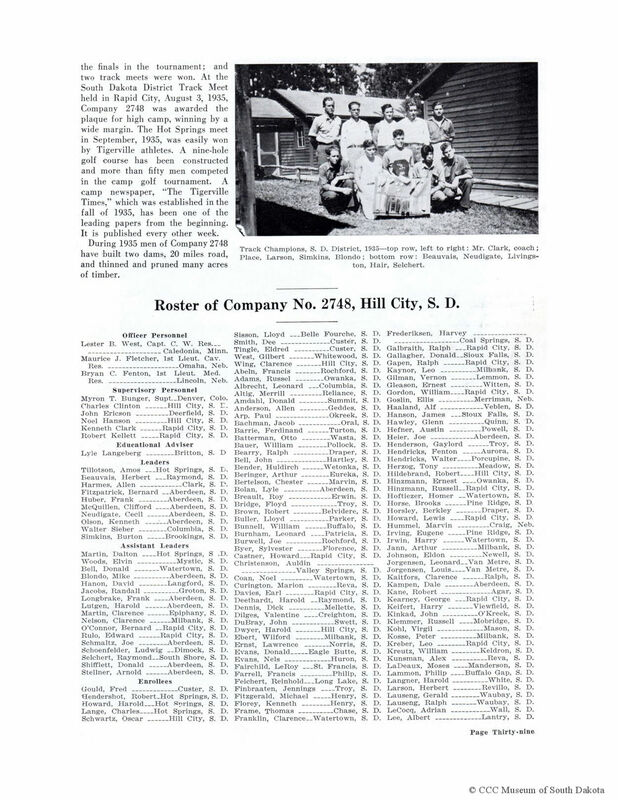 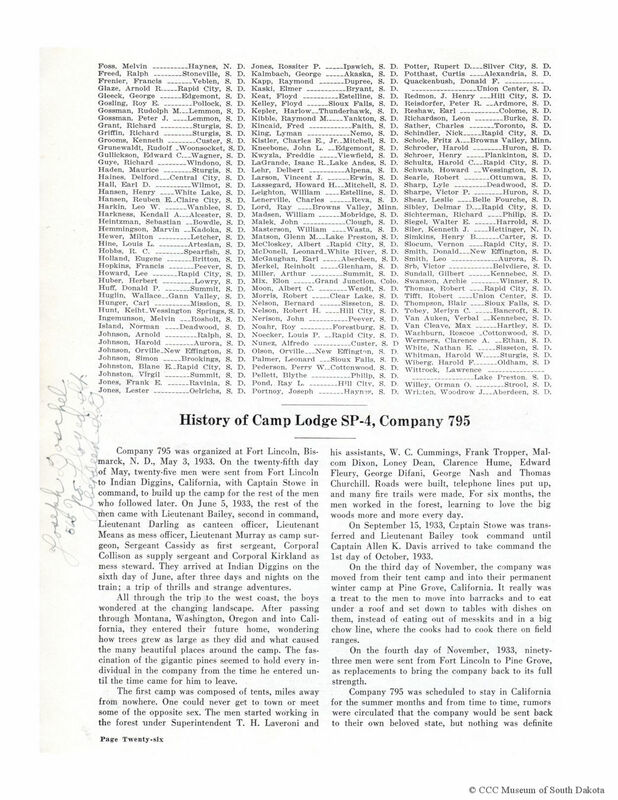 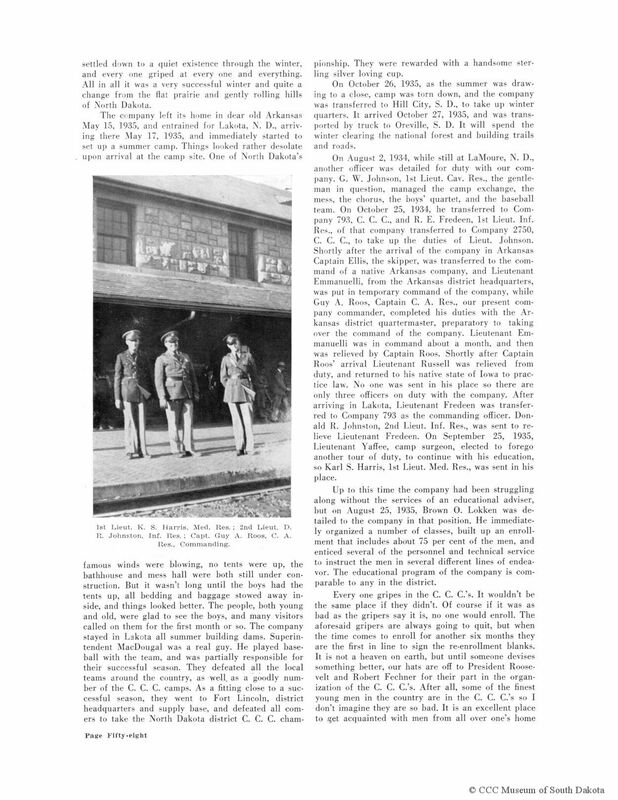 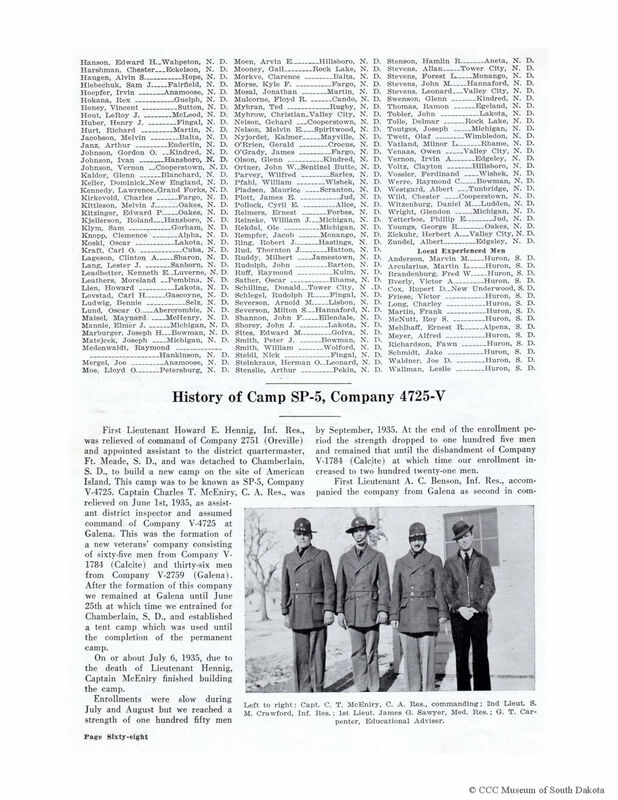 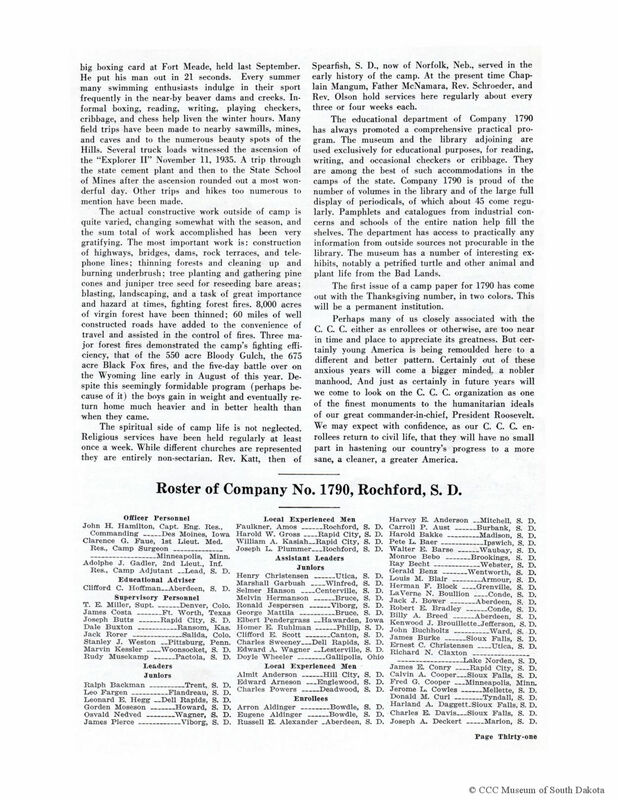 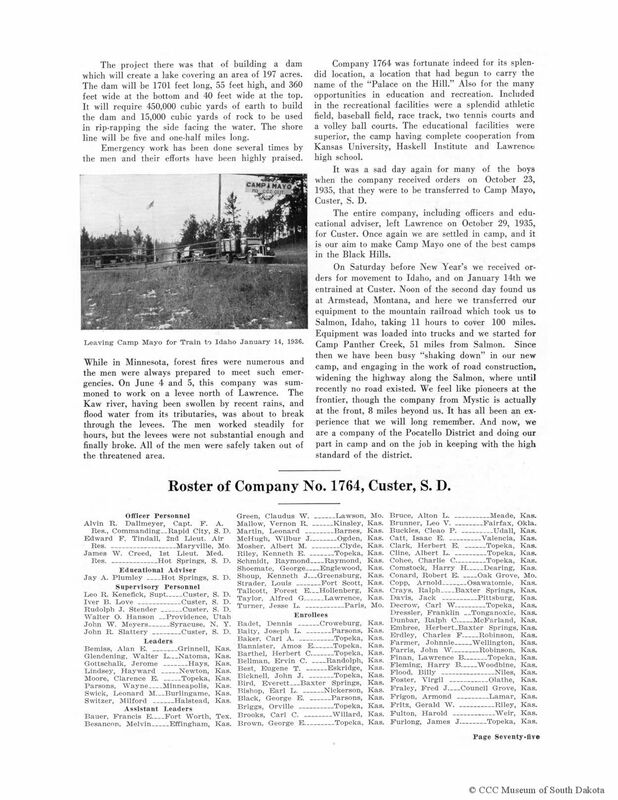 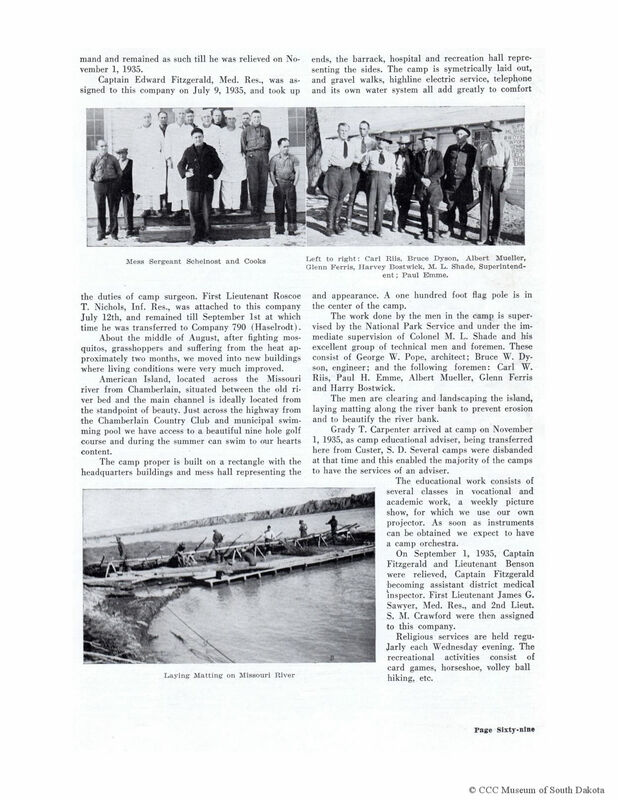 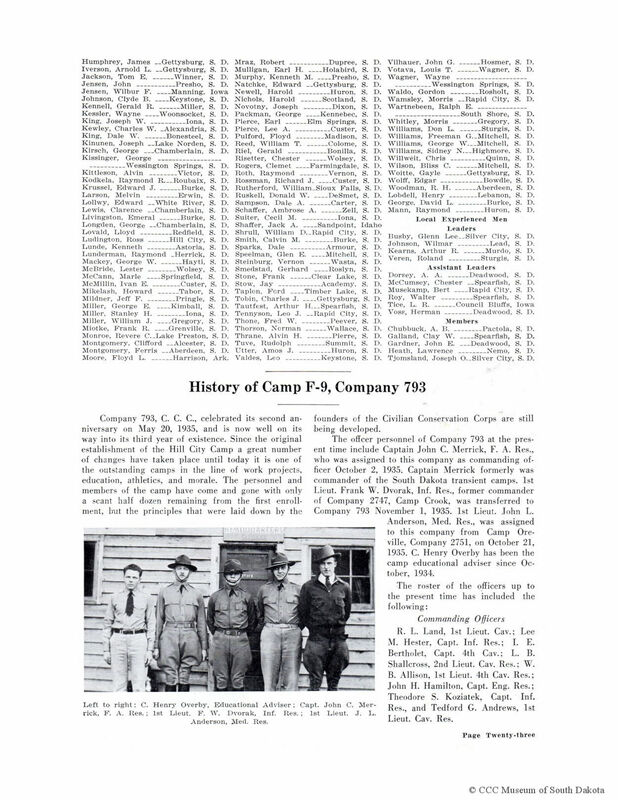 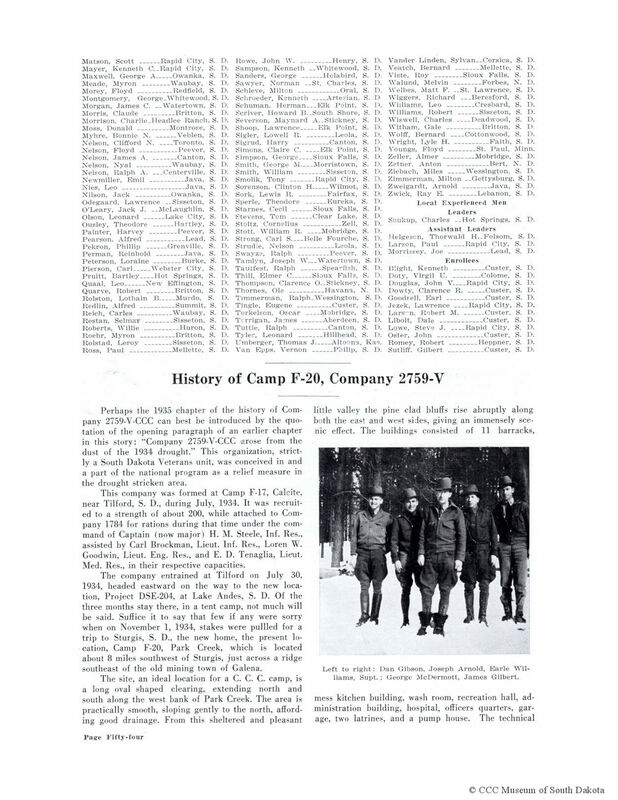 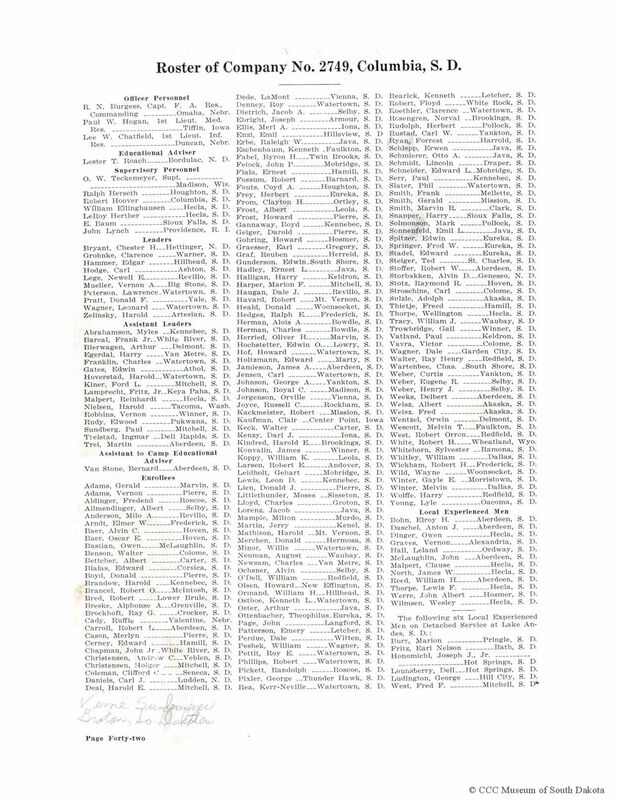 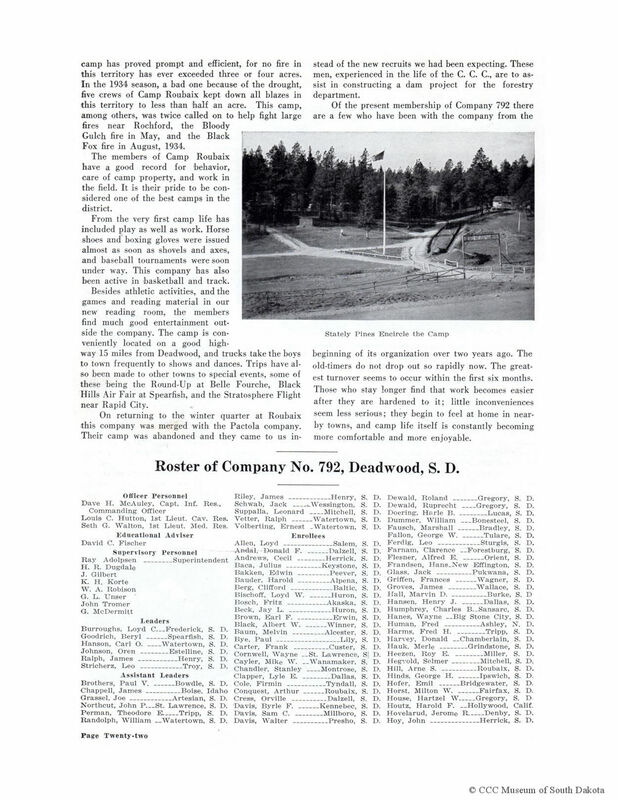 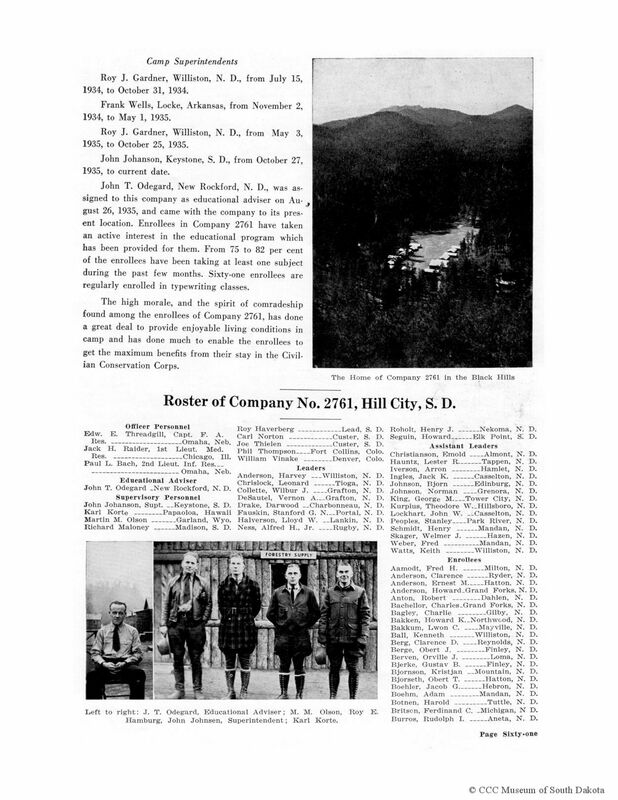 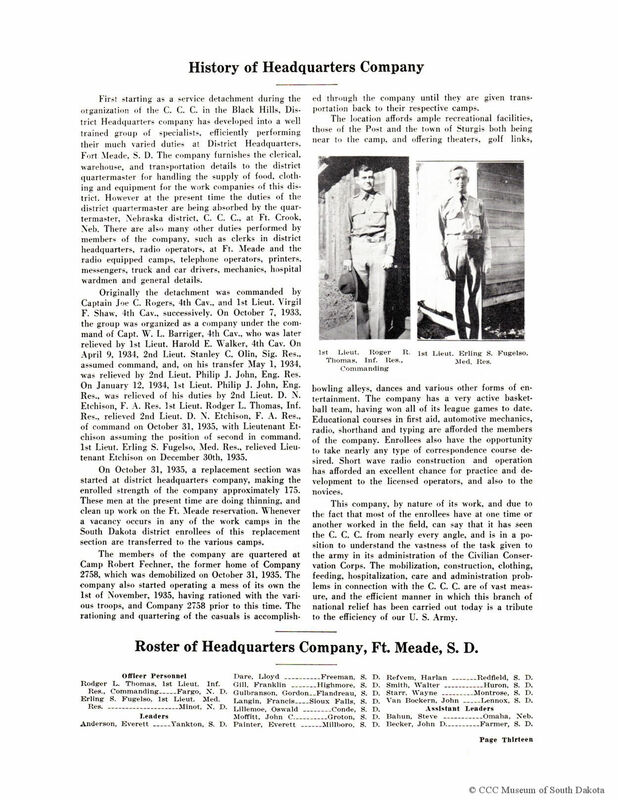 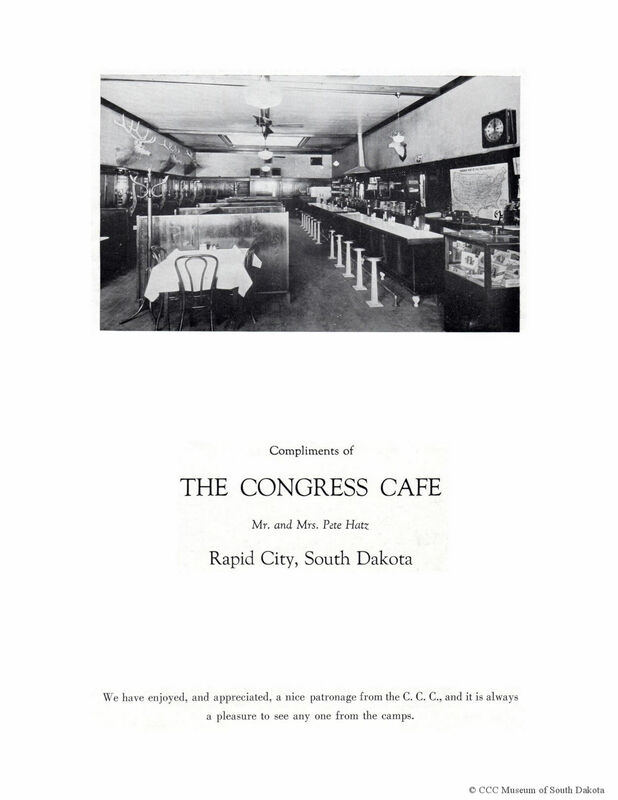 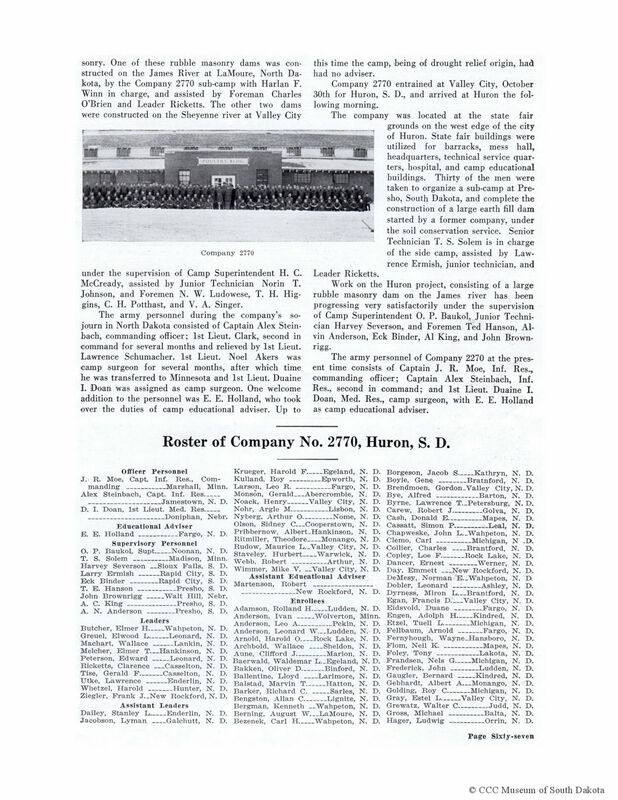 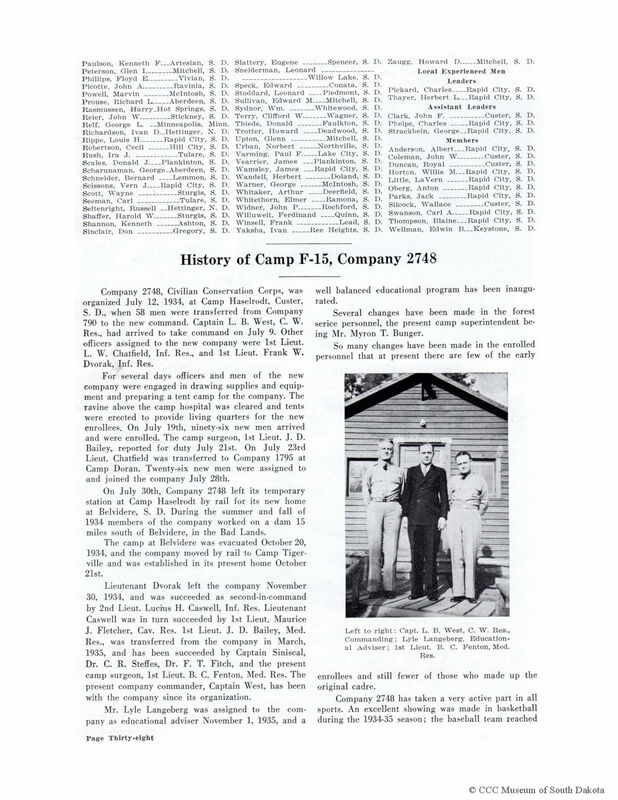 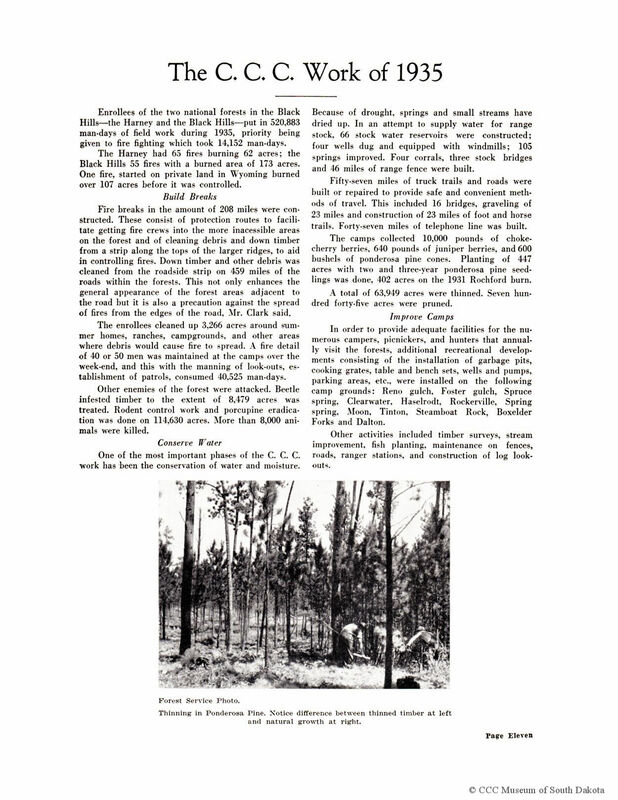 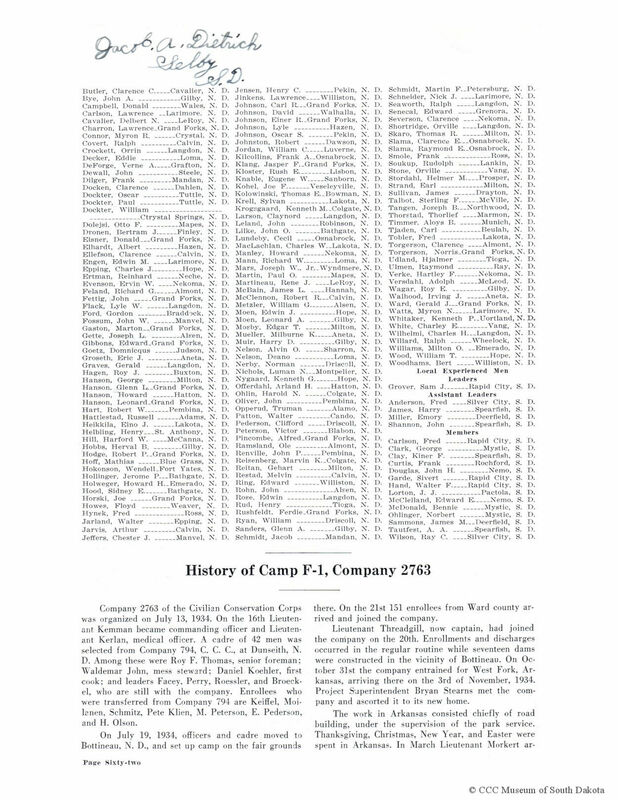 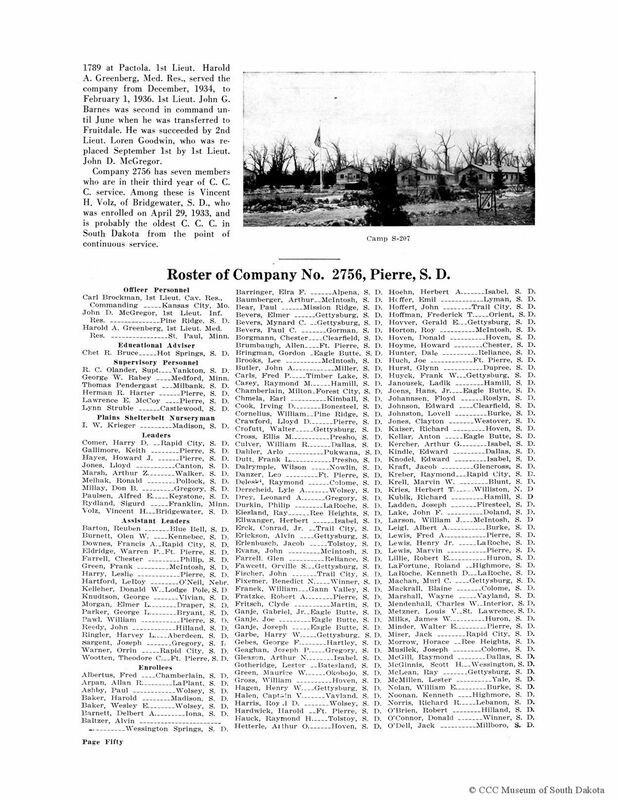 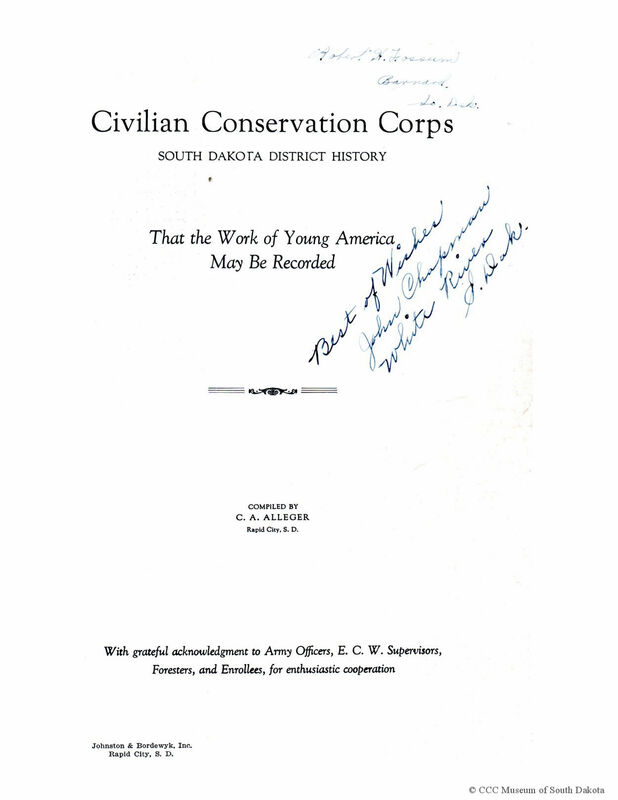 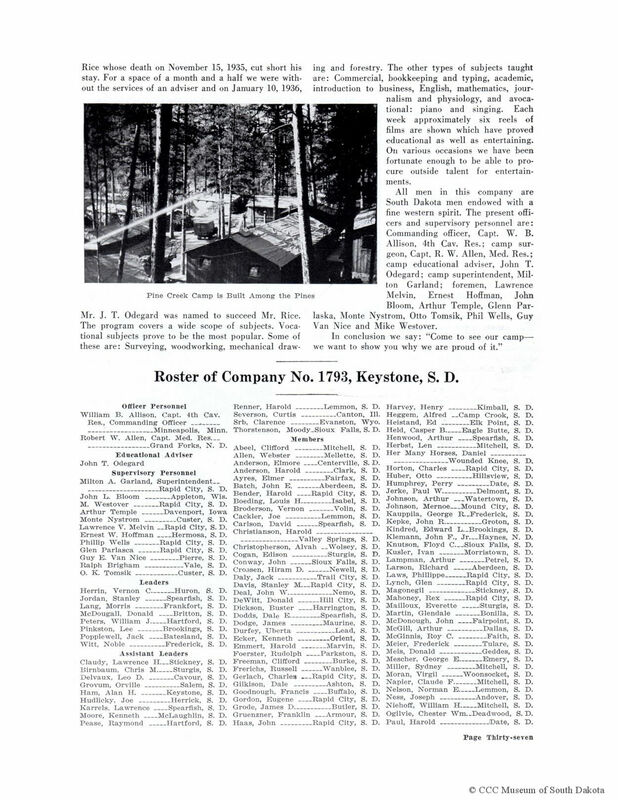 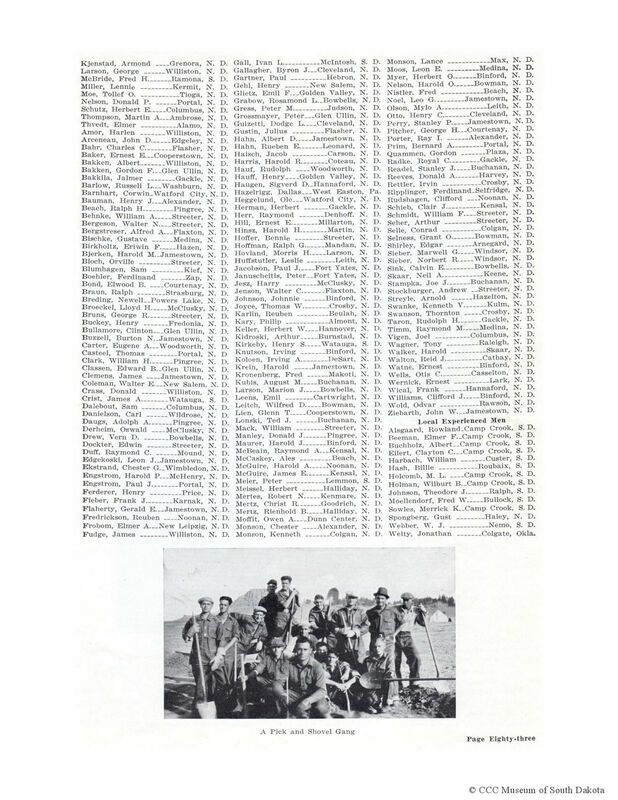 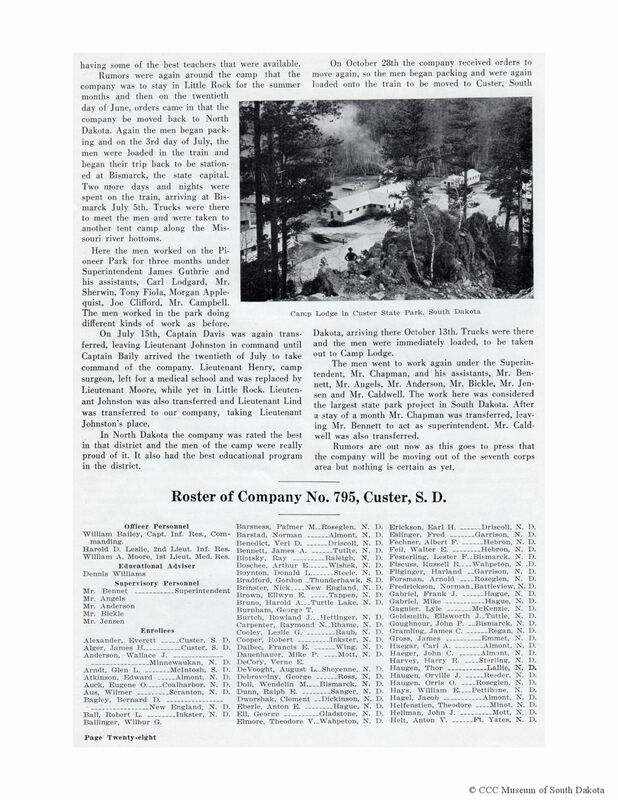 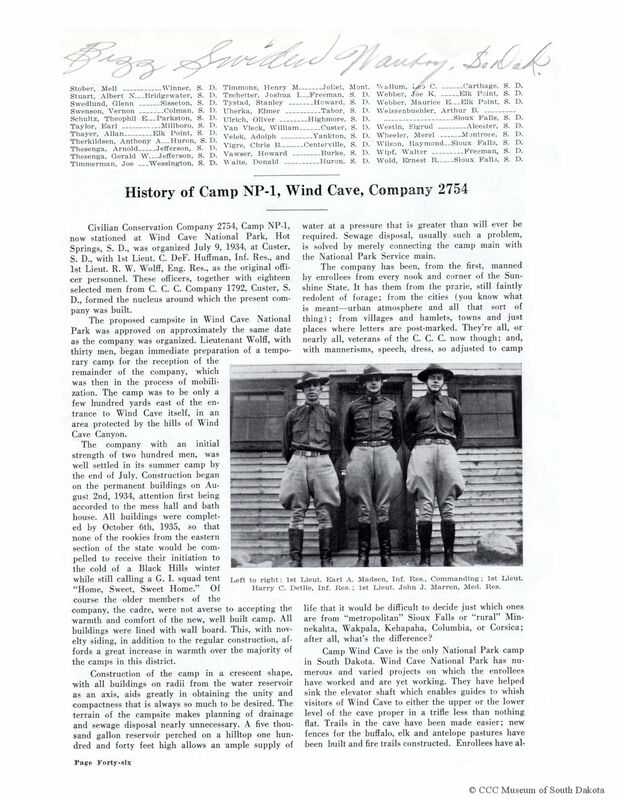 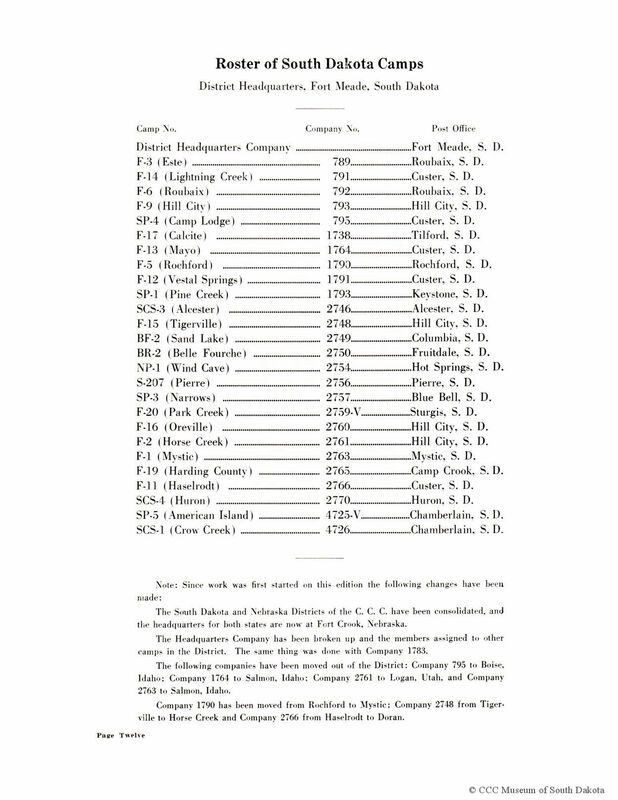 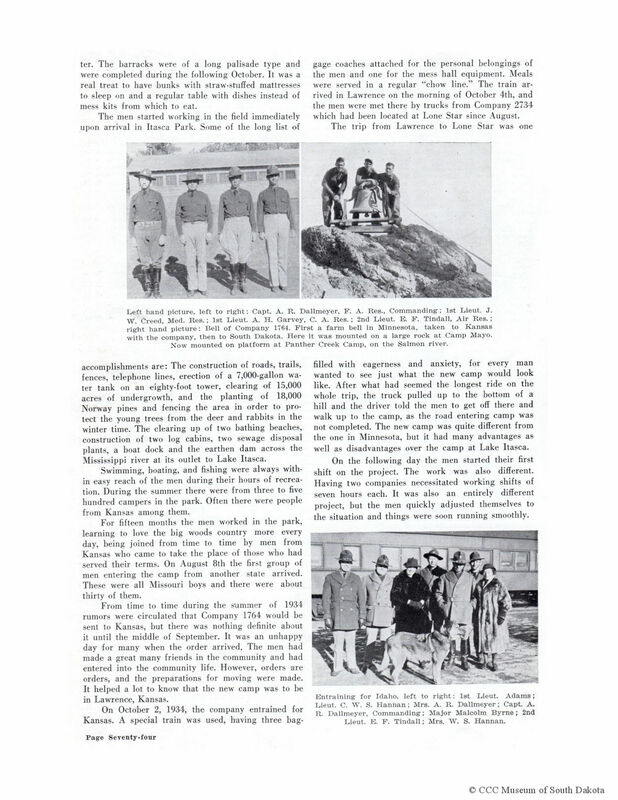 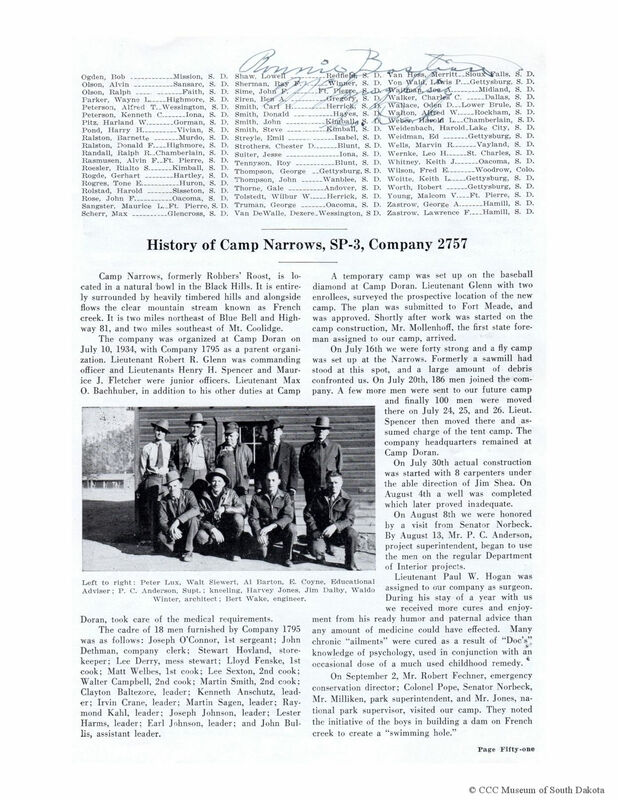 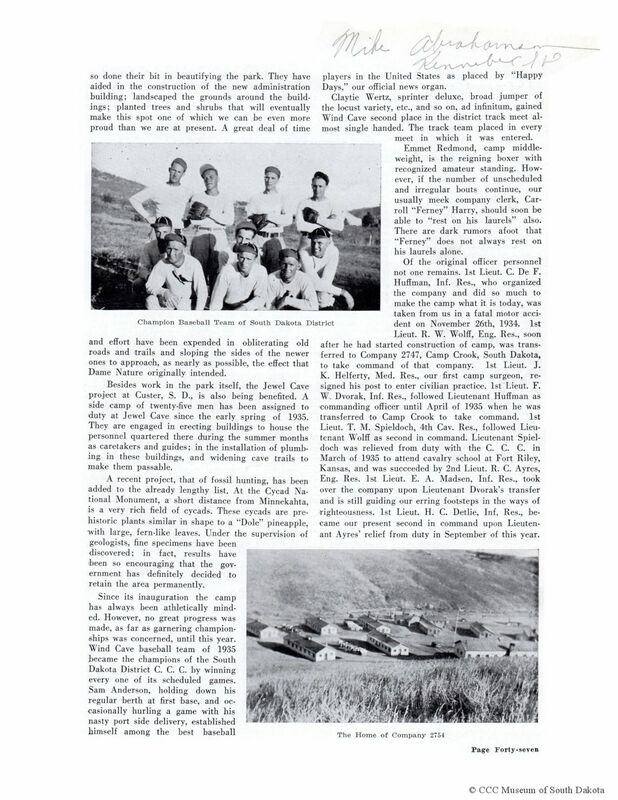 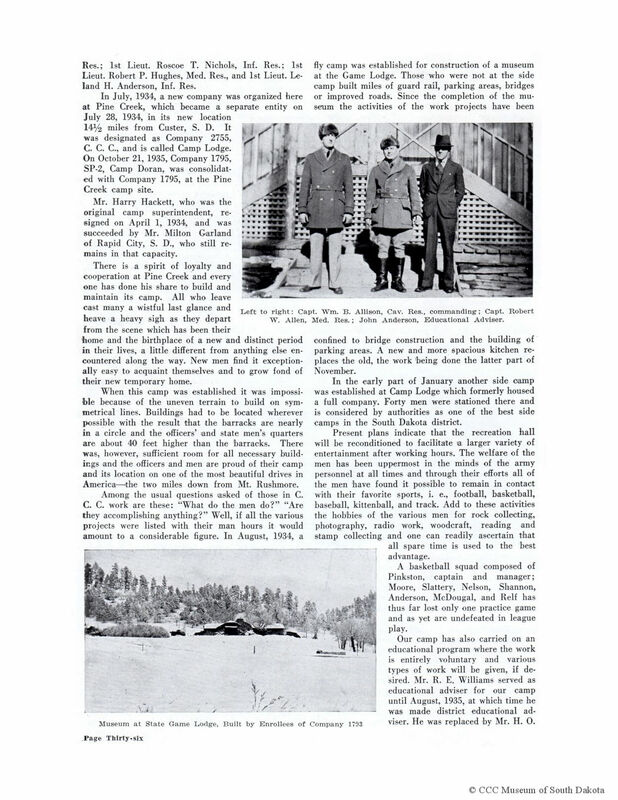 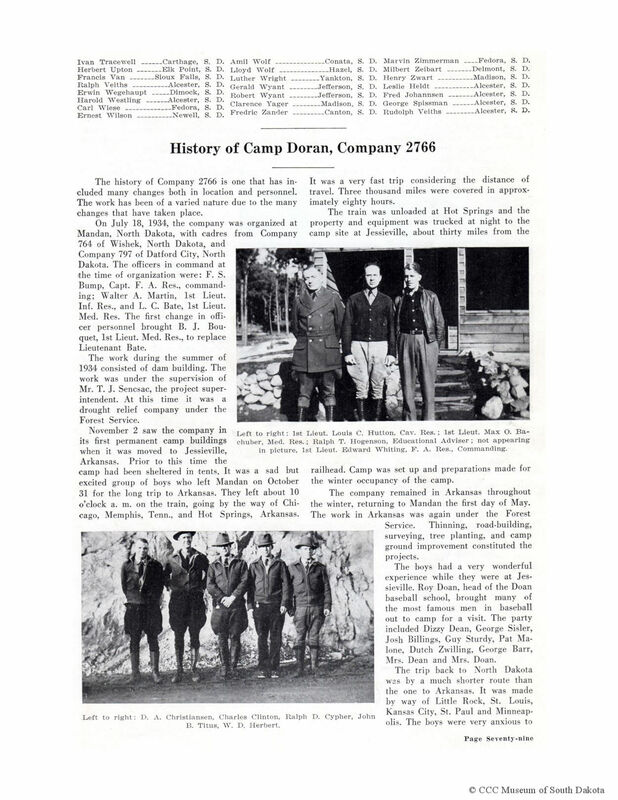 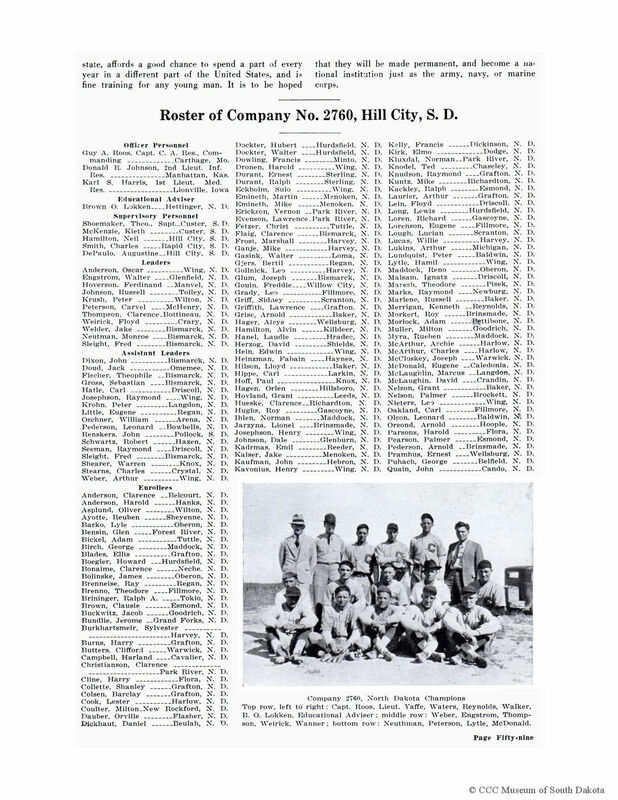 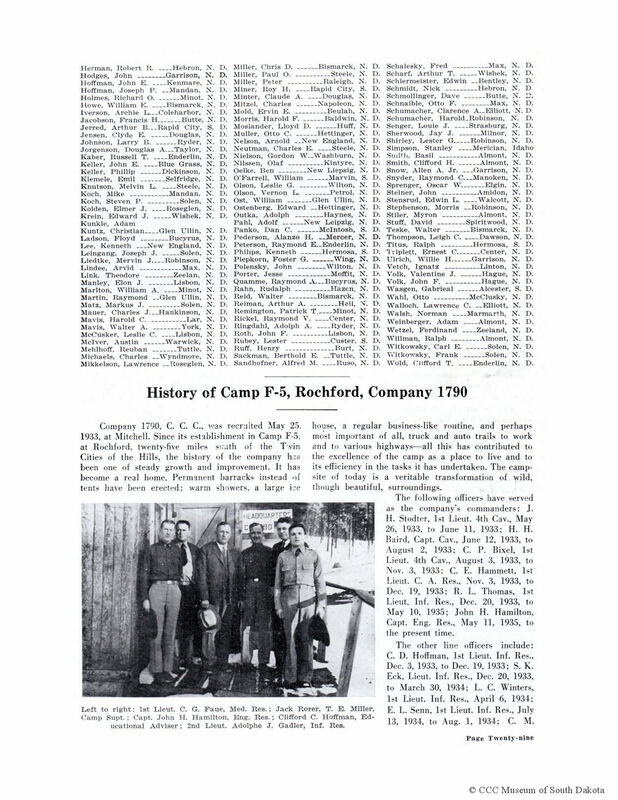 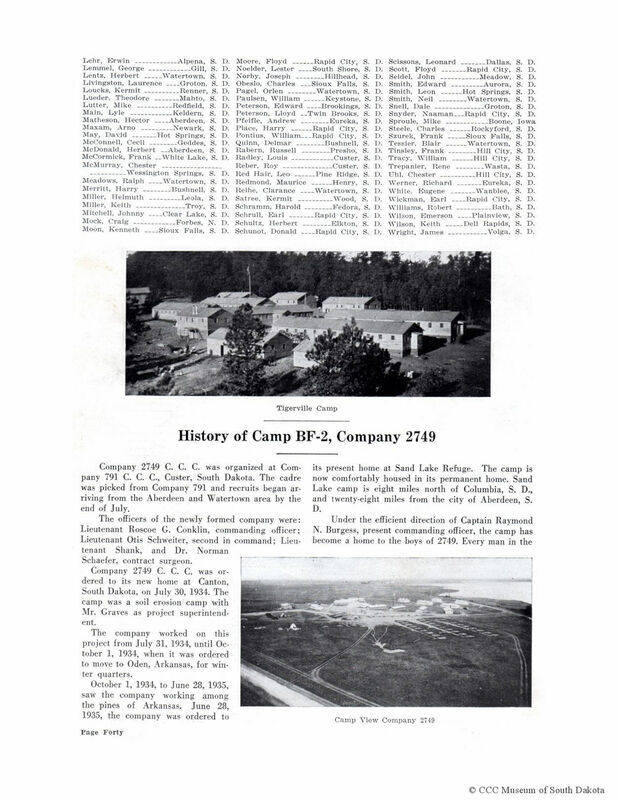 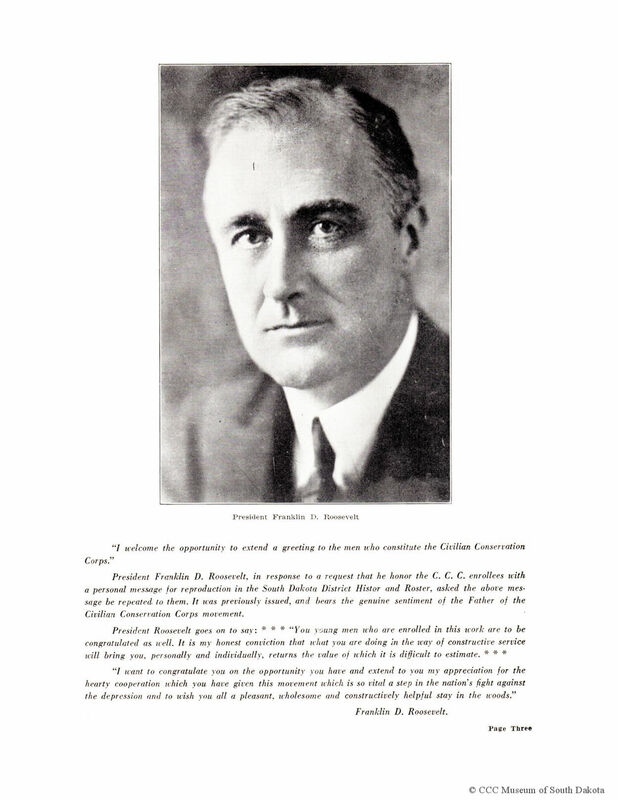 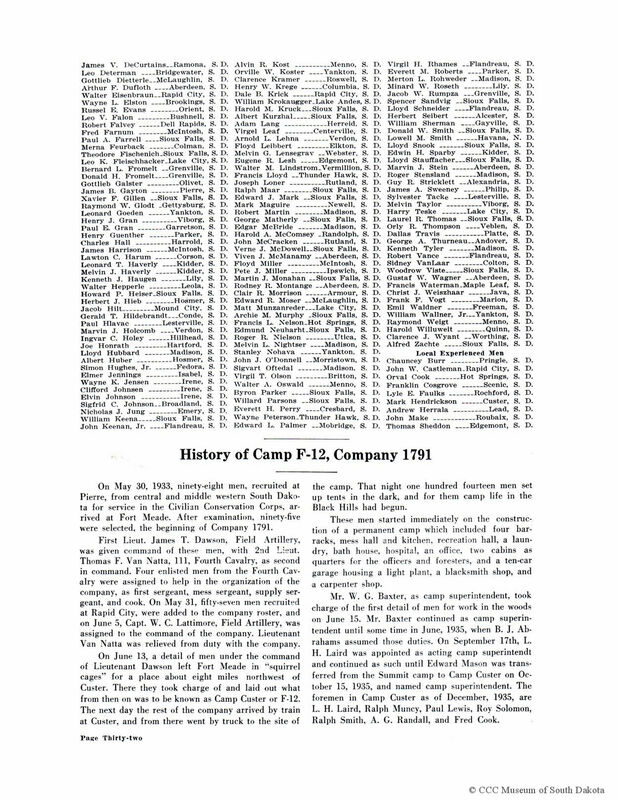 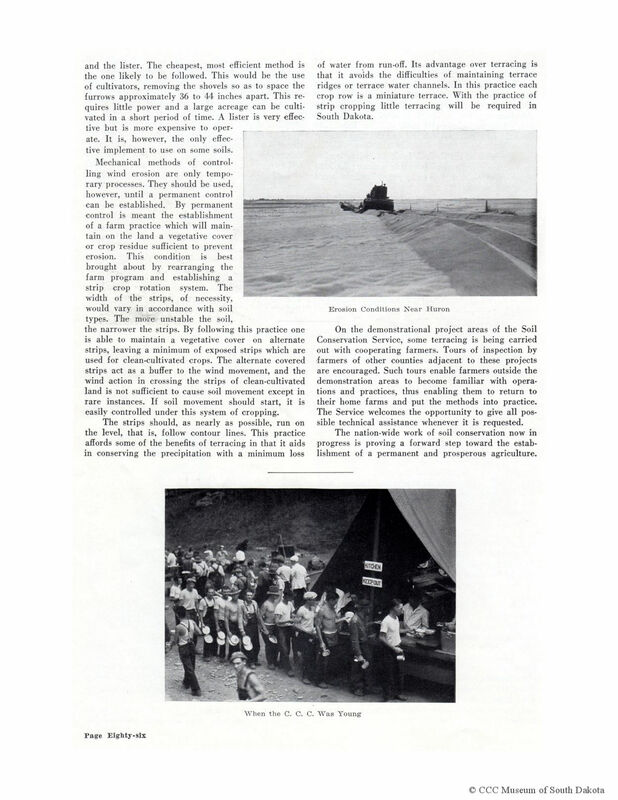 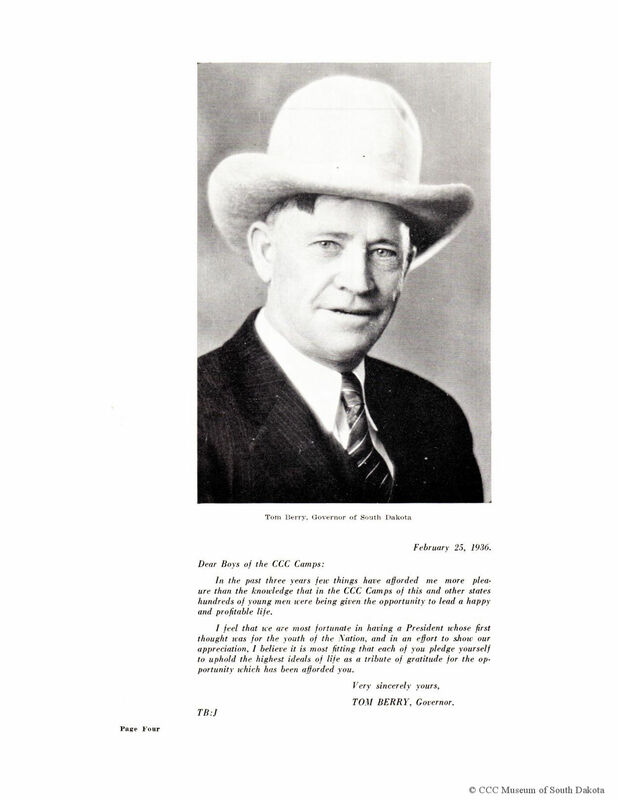 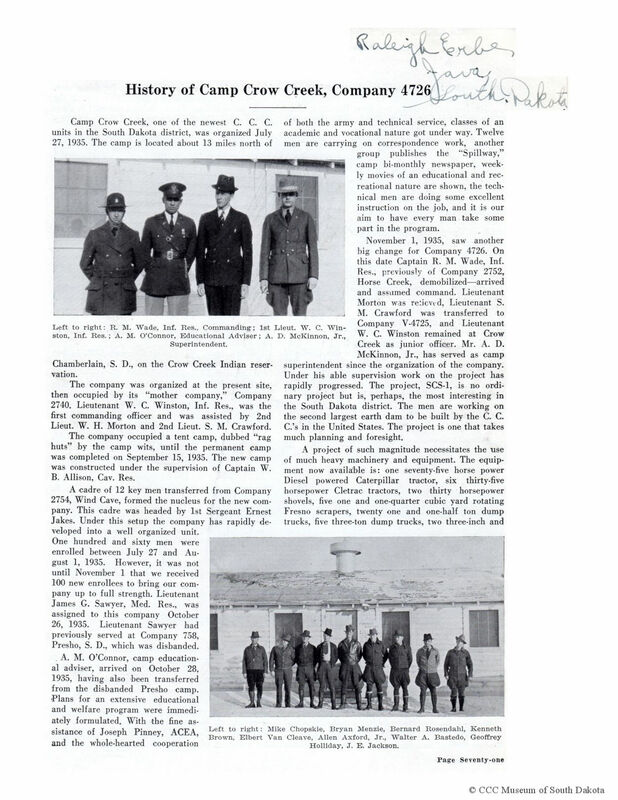 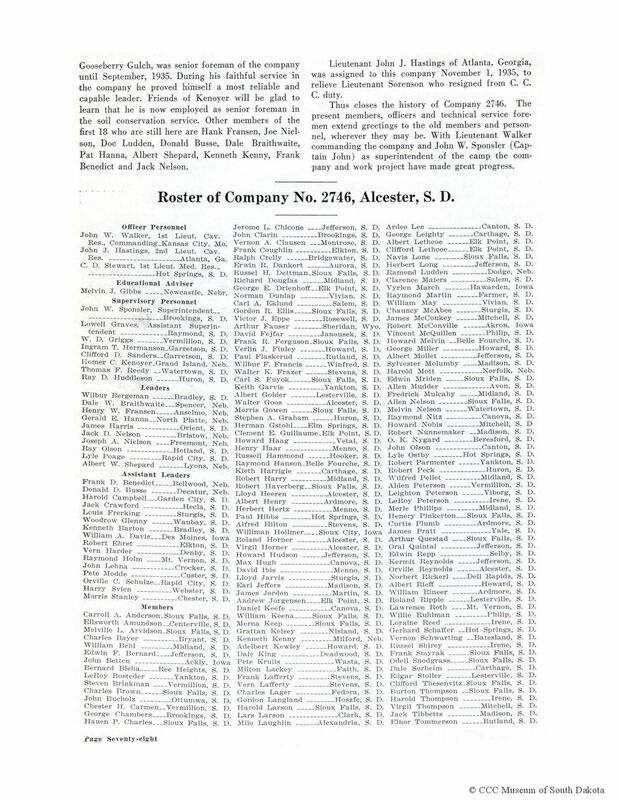 These Robert Fossum's CCC Yearbook was donated to the Civilian Conservation Corps Museum of South Dakota by his daughter. 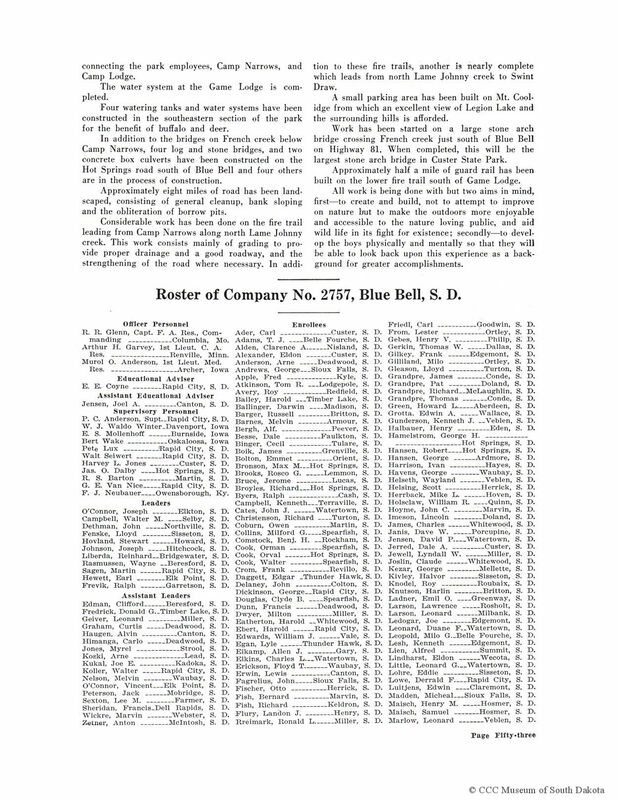 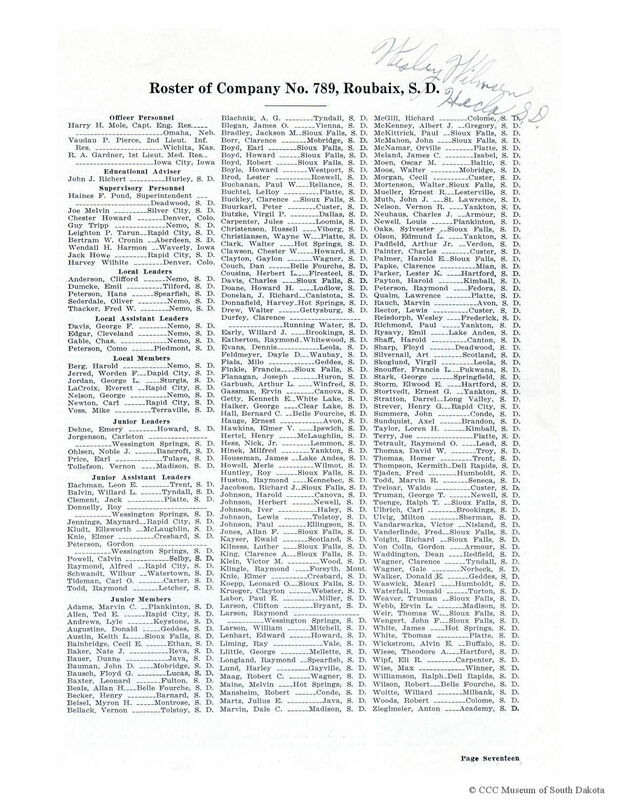 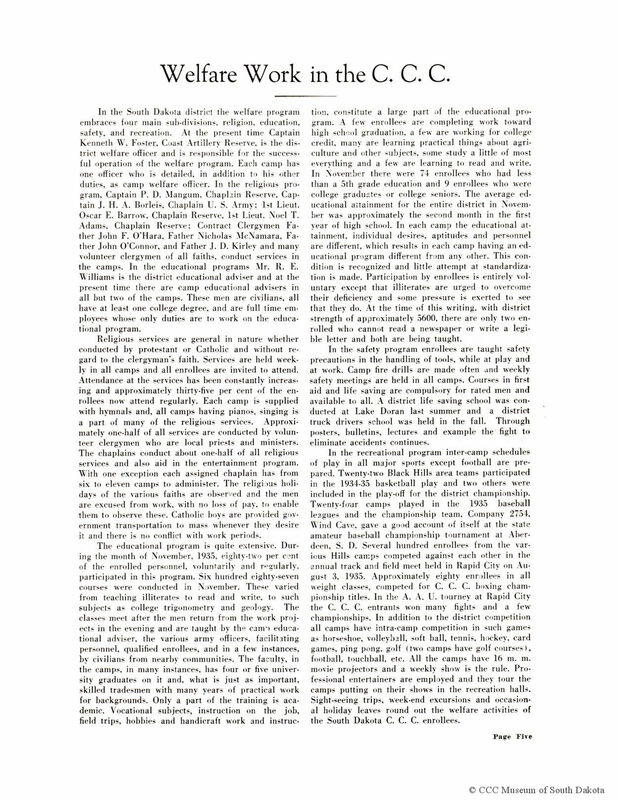 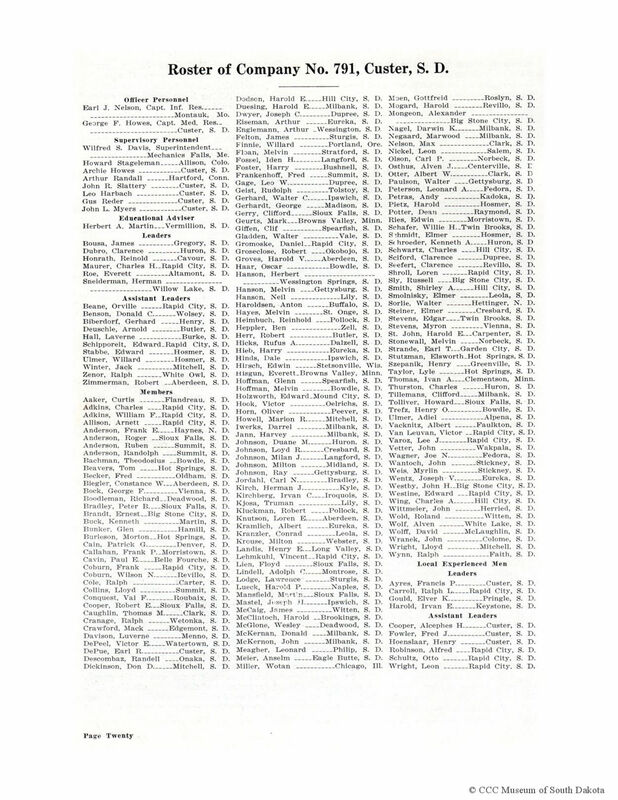 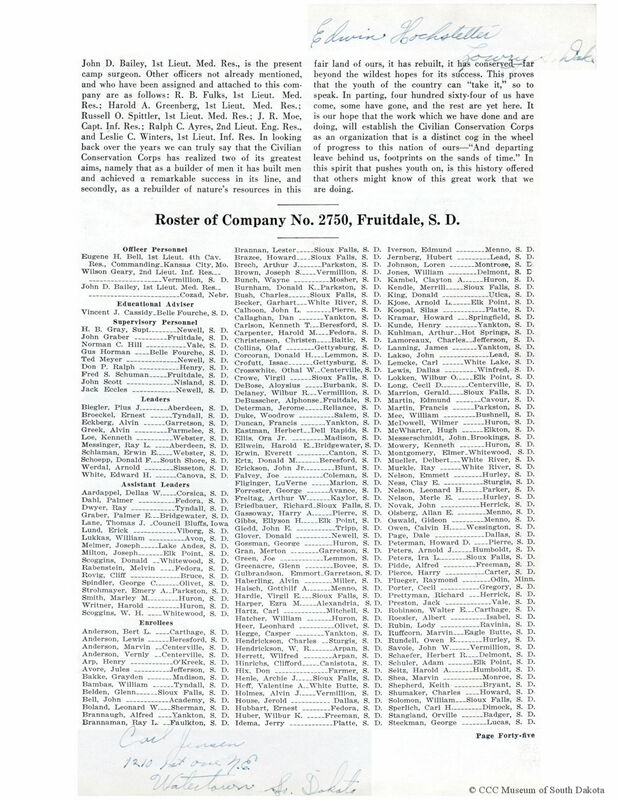 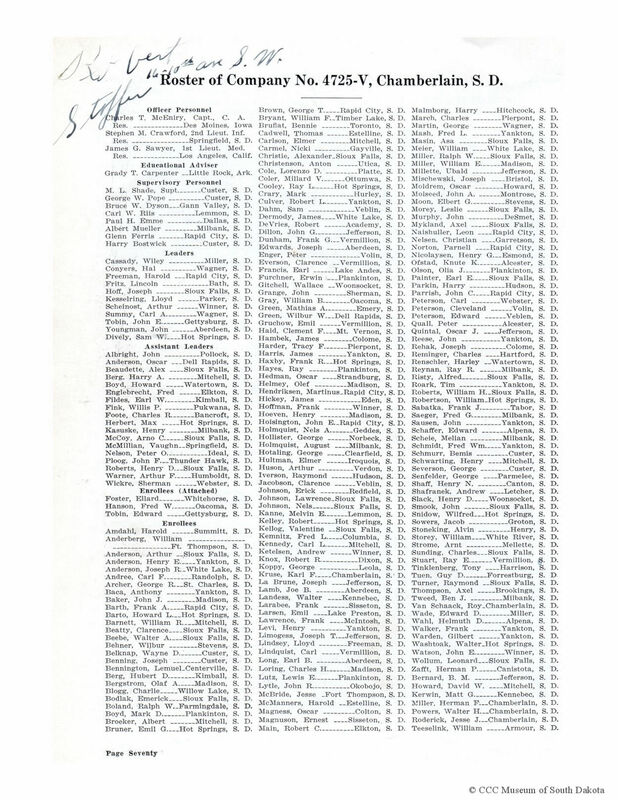 This particular annual publication has several notes and signatures which makes it even more interesting. 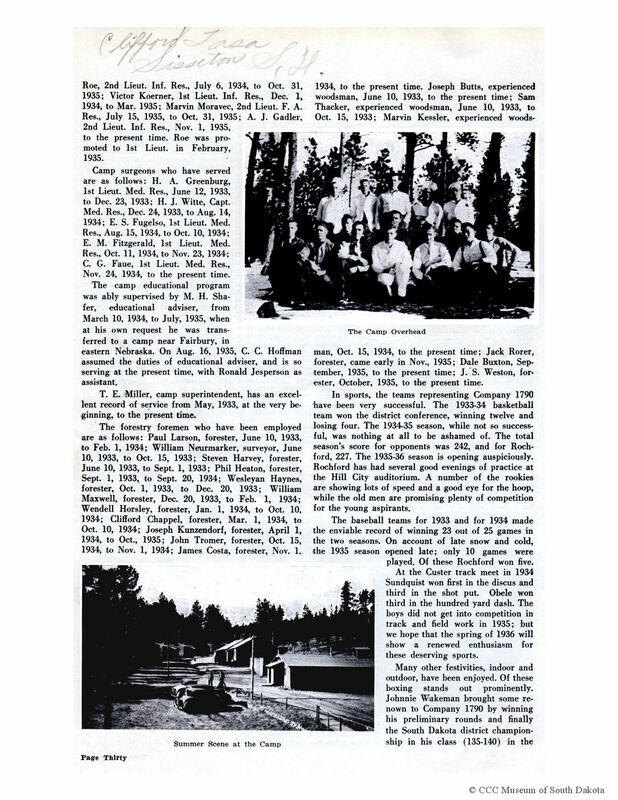 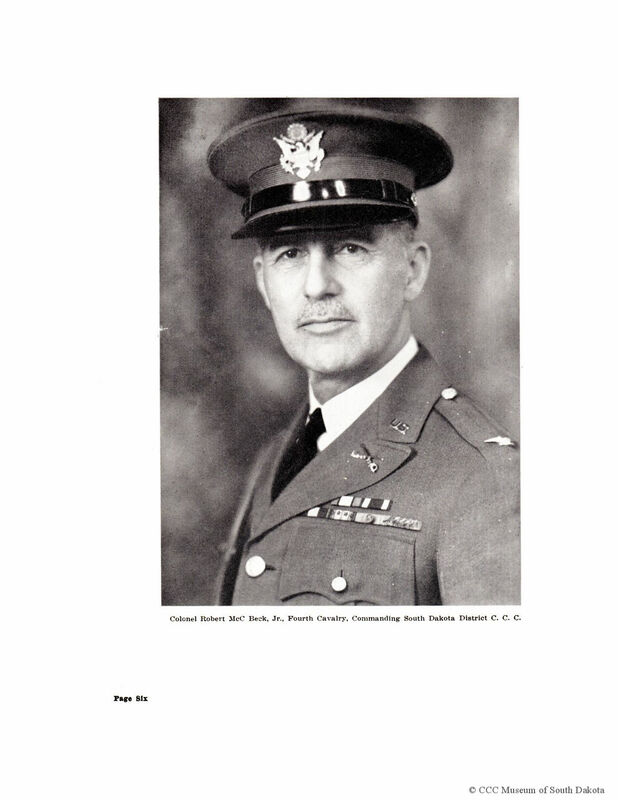 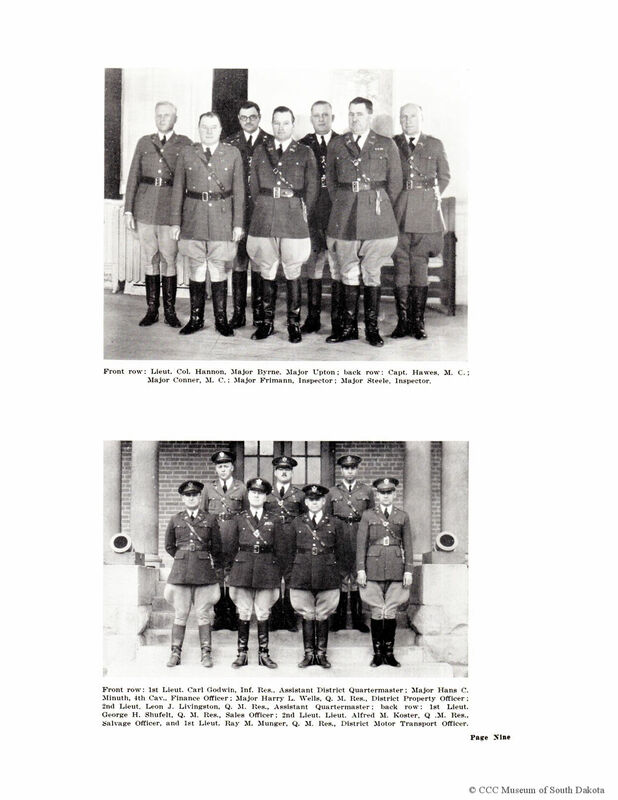 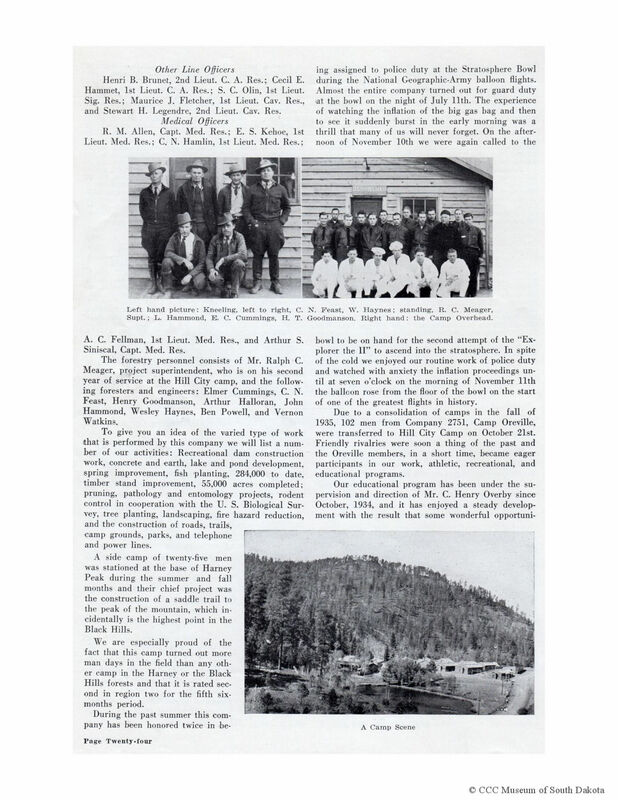 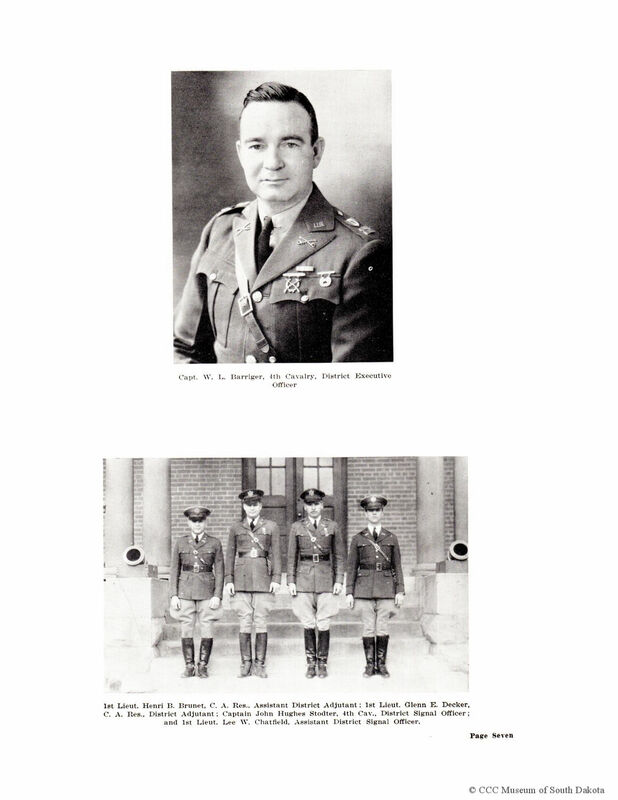 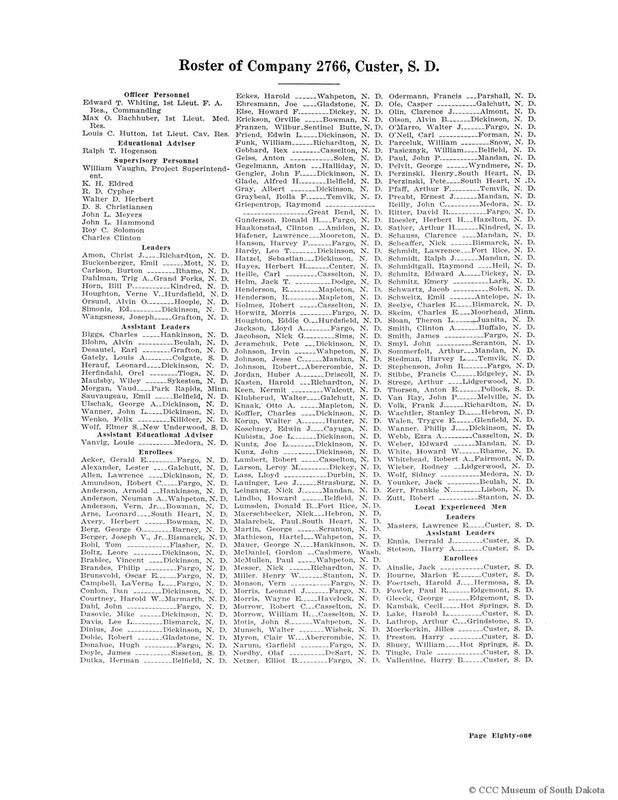 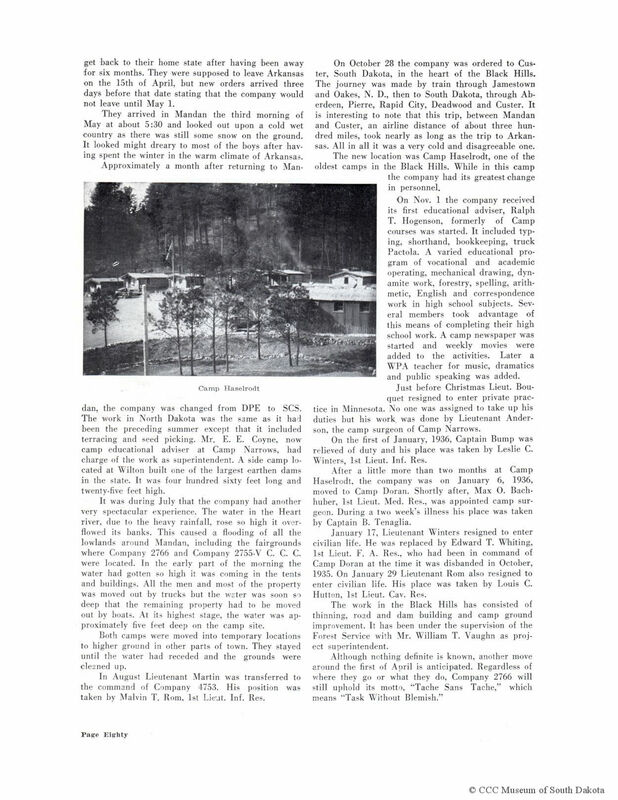 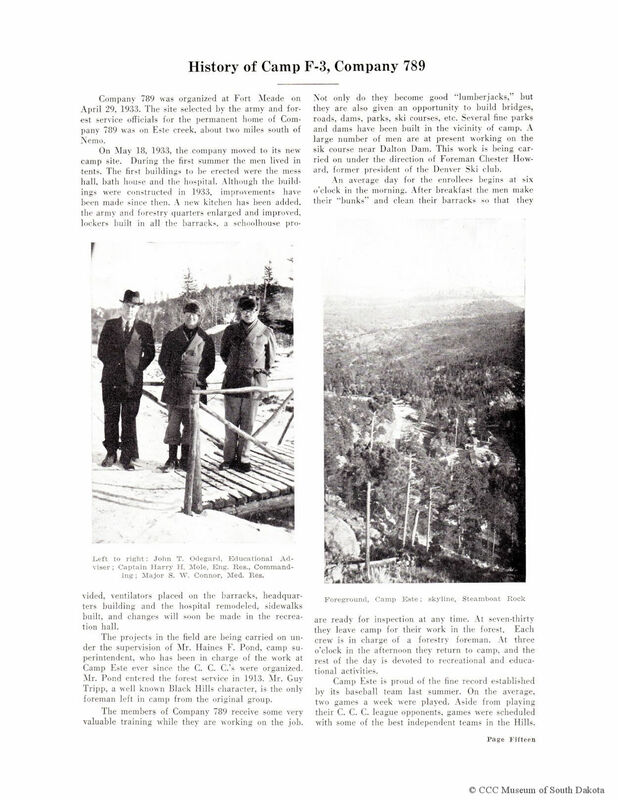 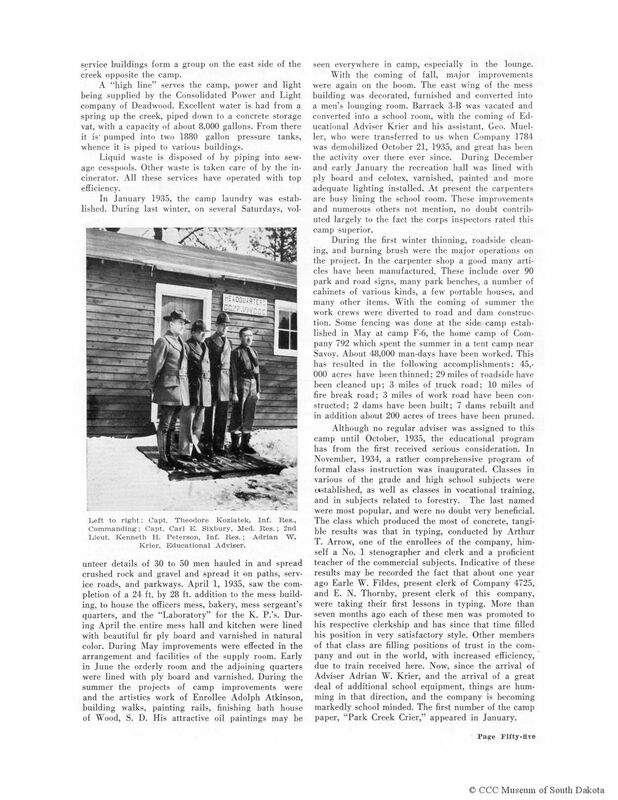 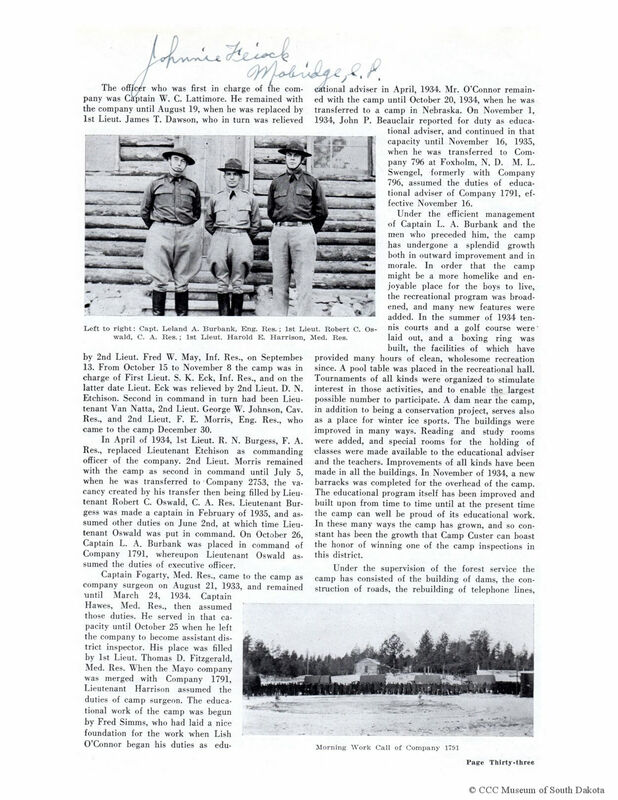 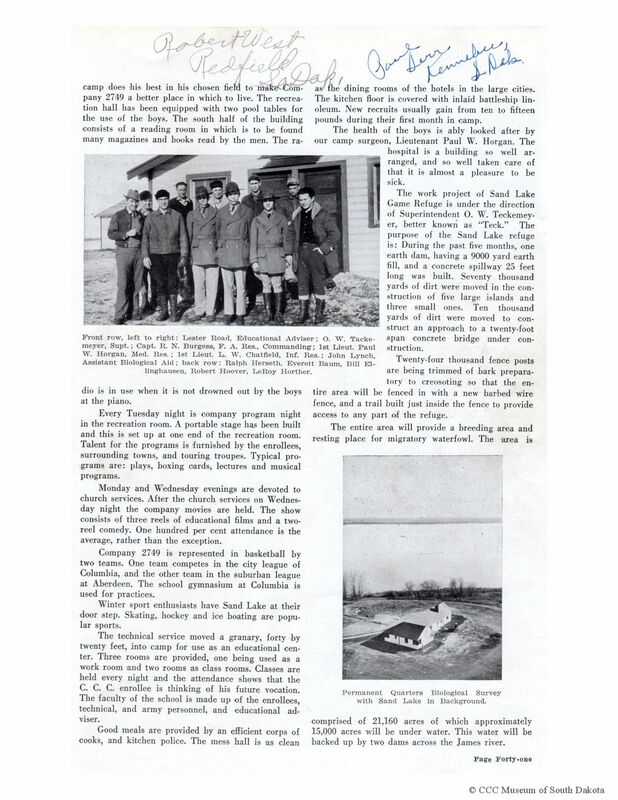 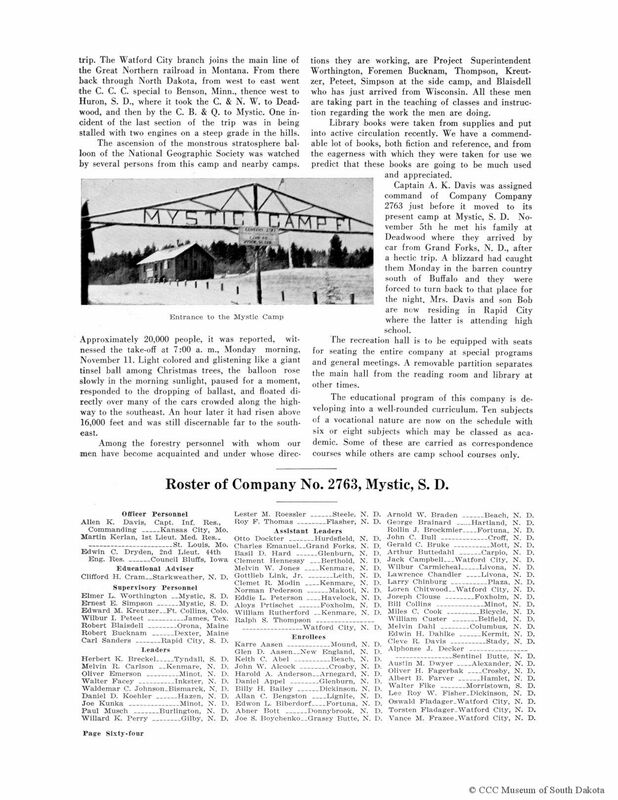 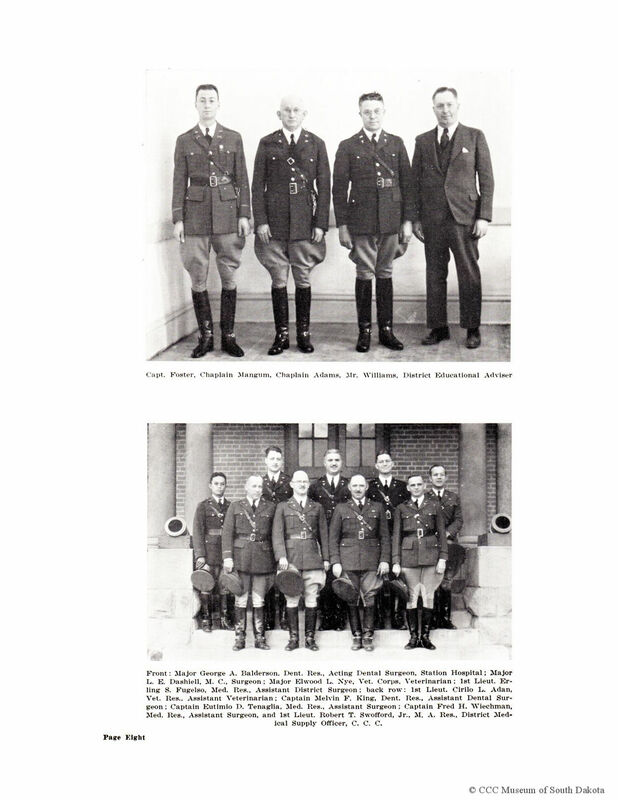 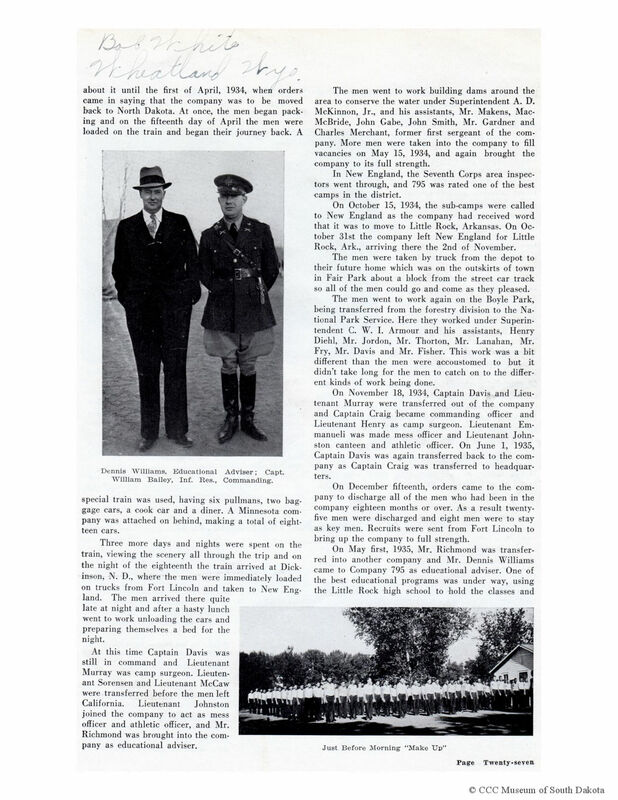 Mr. Fossum was at Sand Lake (Columbia) in 1935. 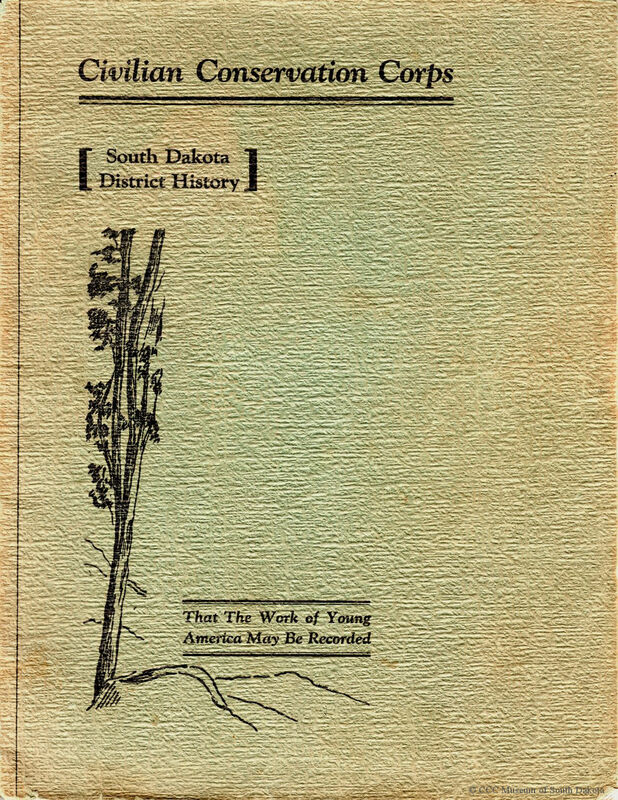 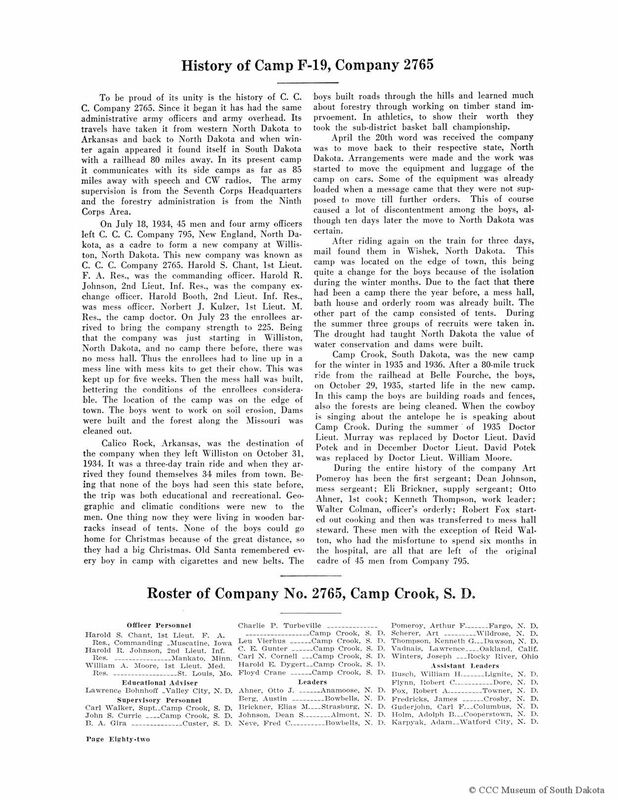 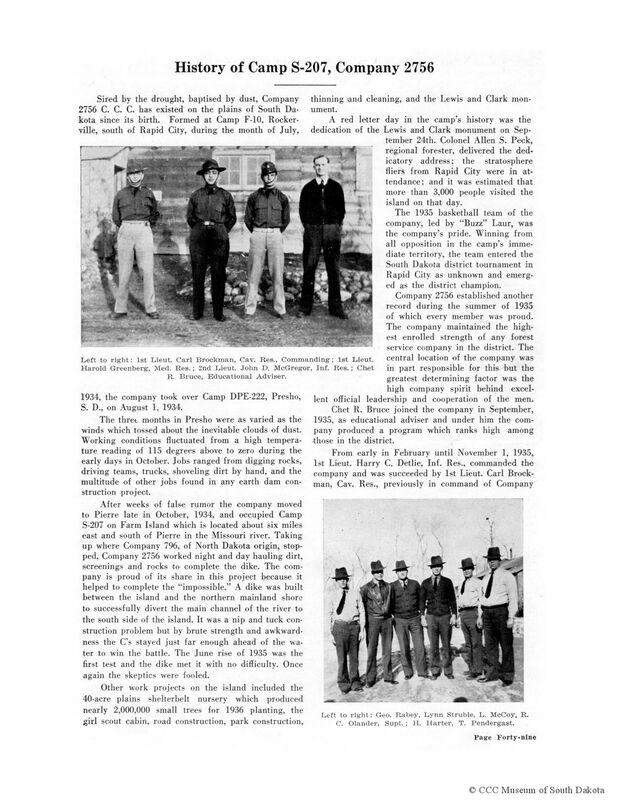 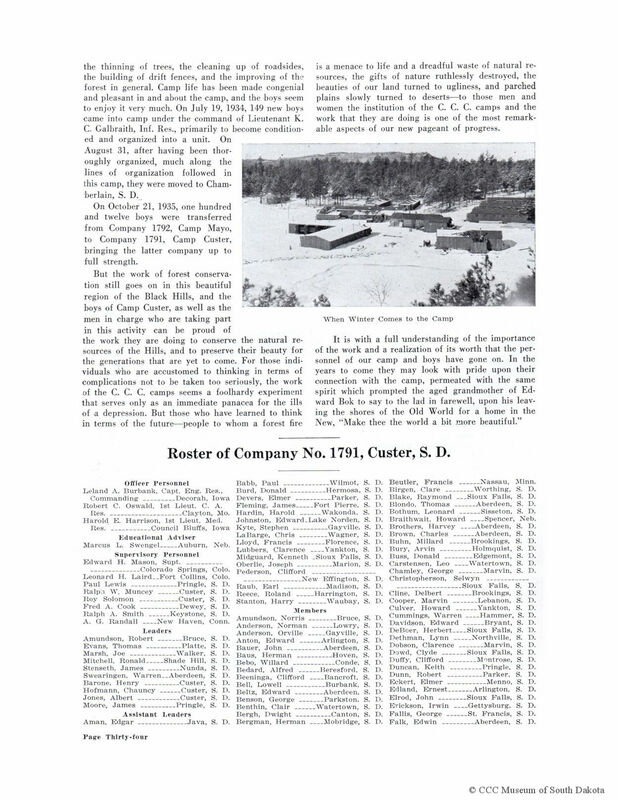 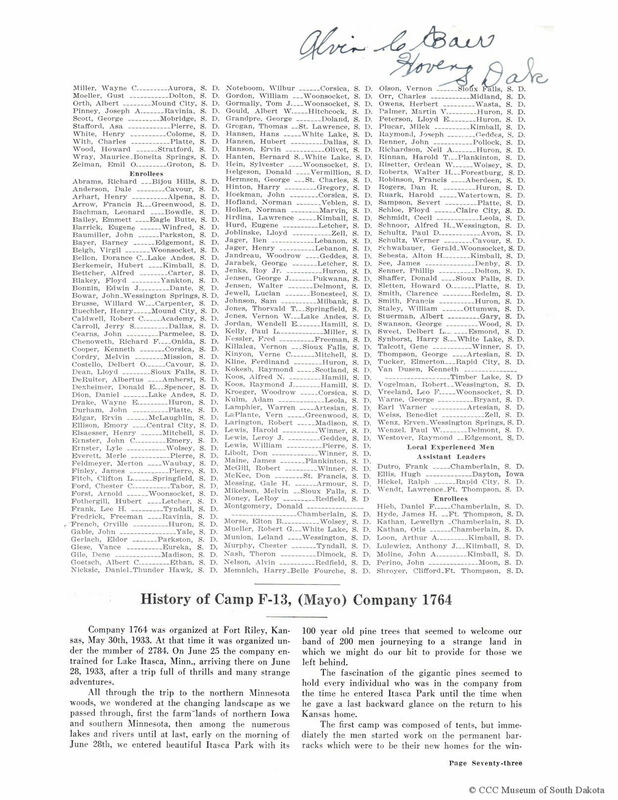 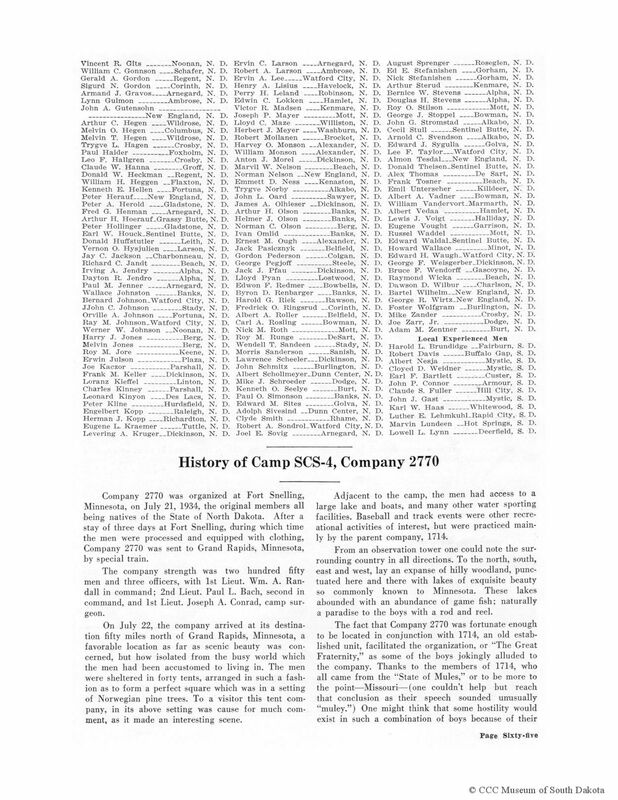 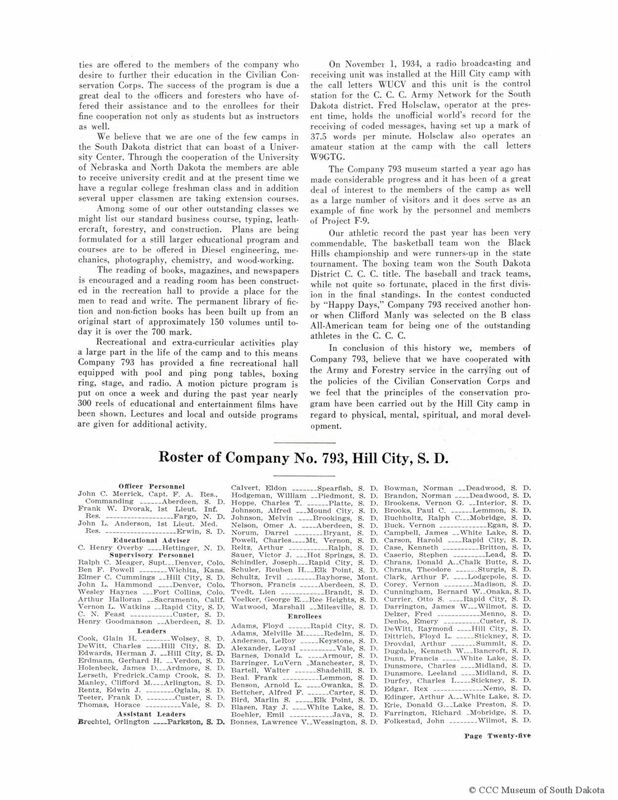 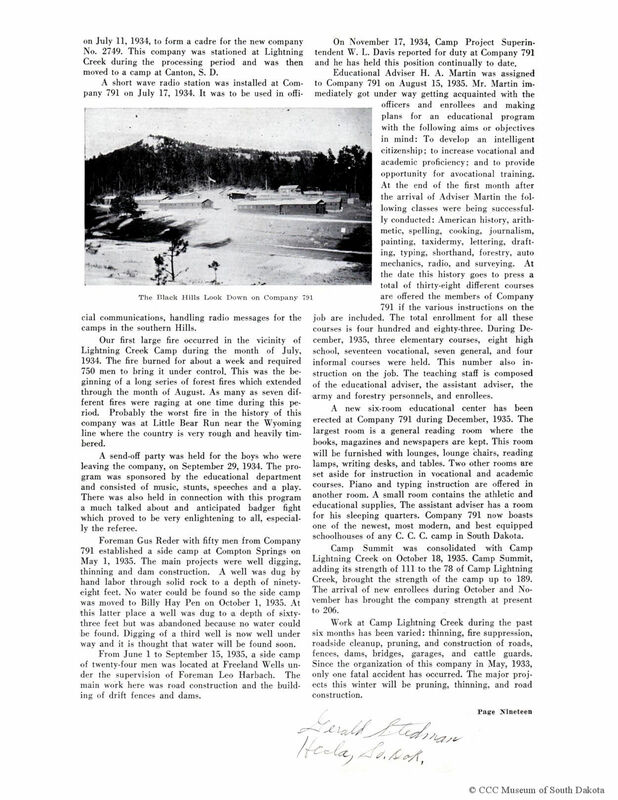 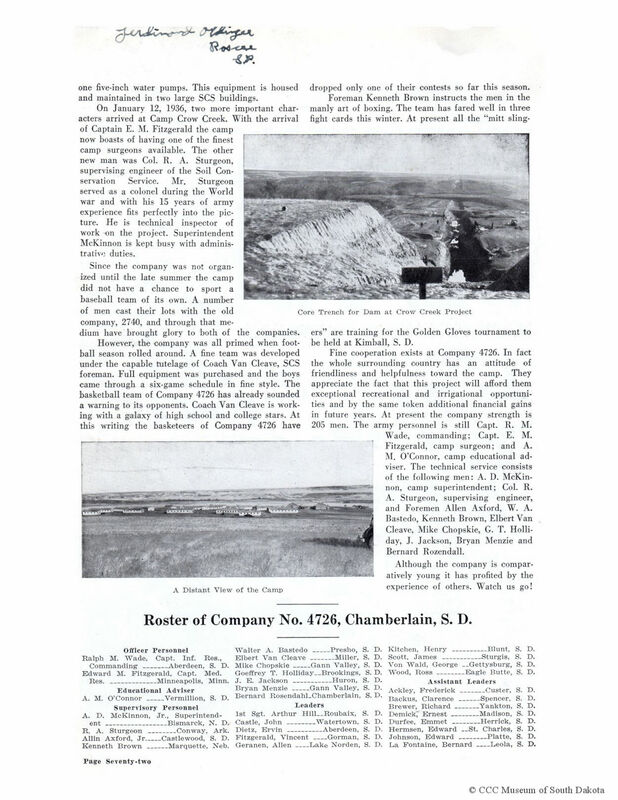 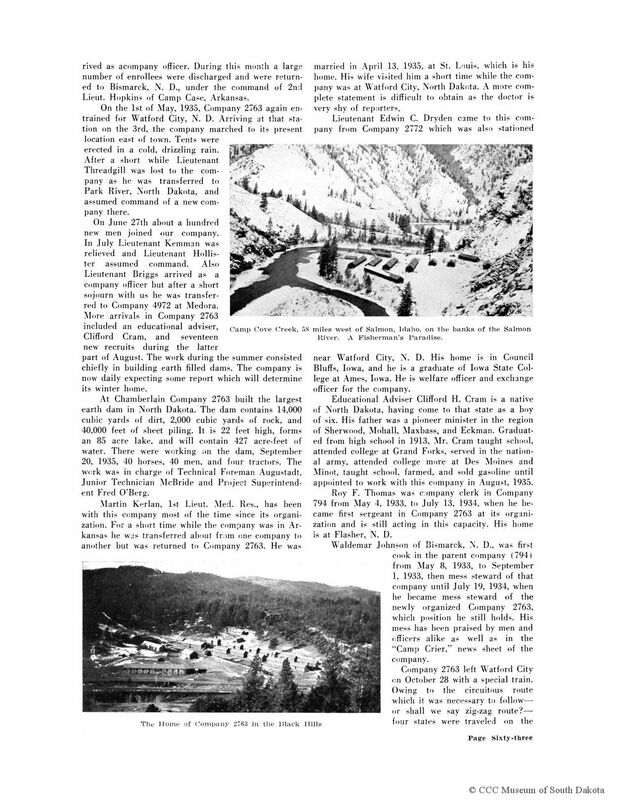 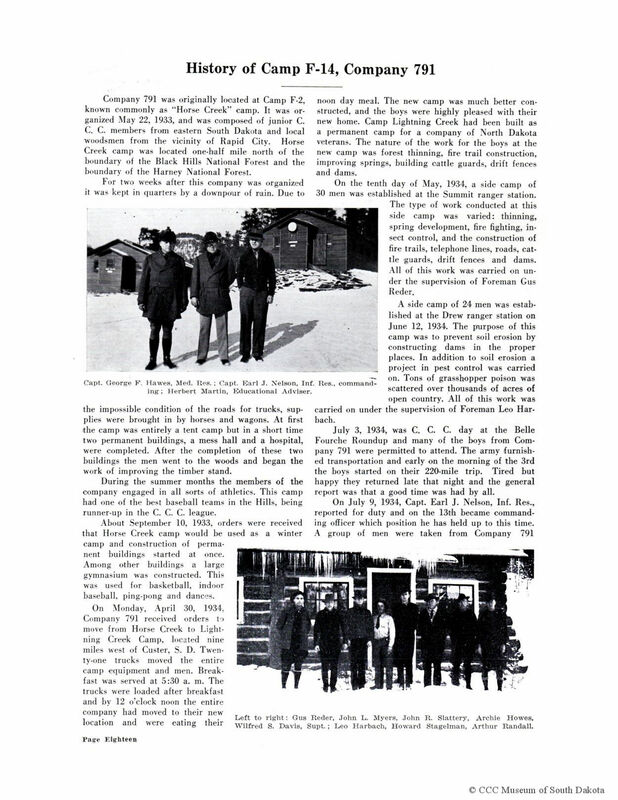 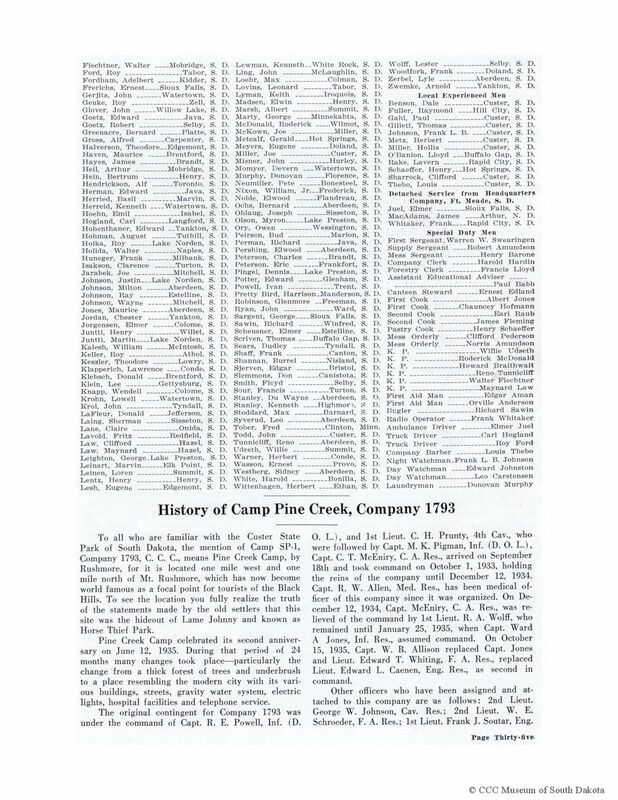 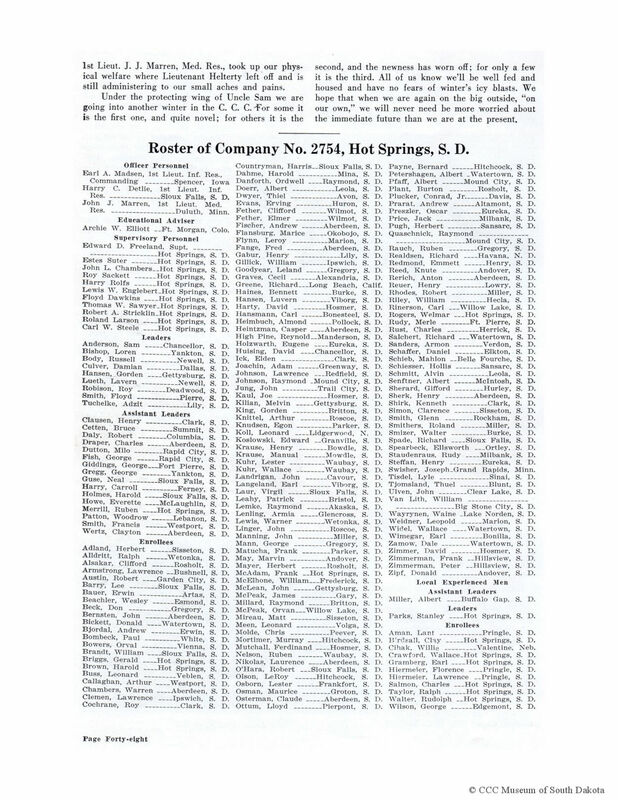 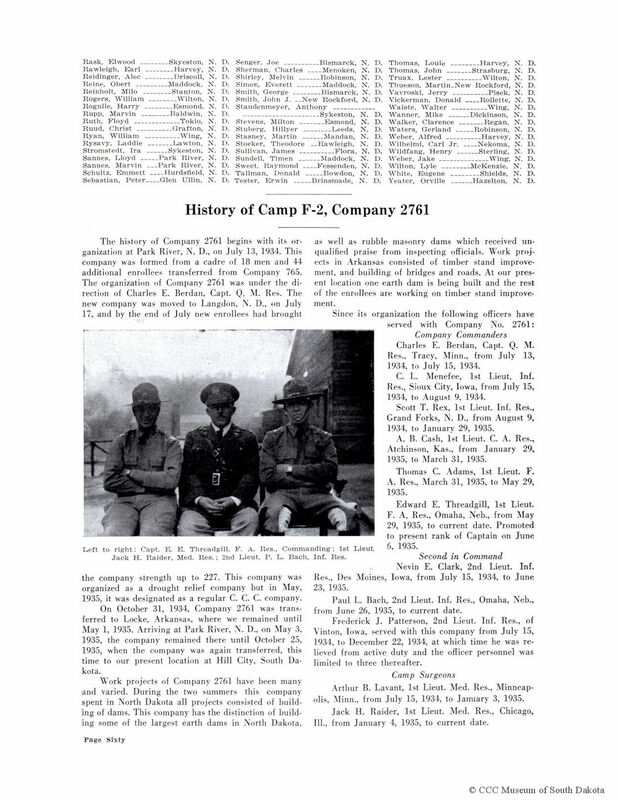 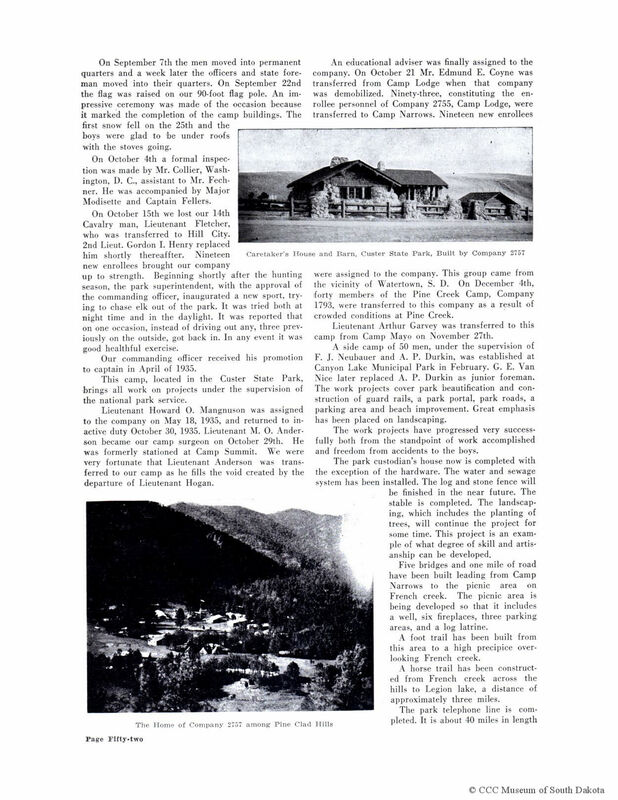 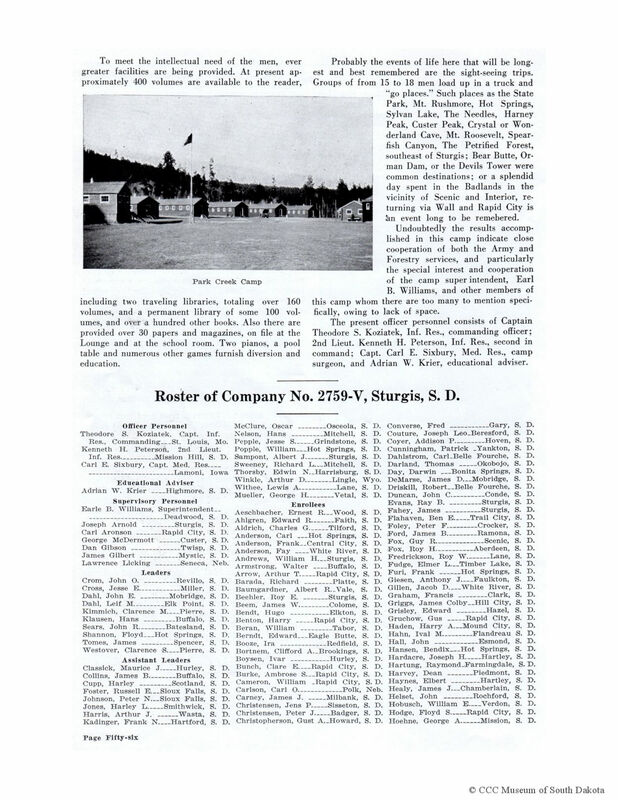 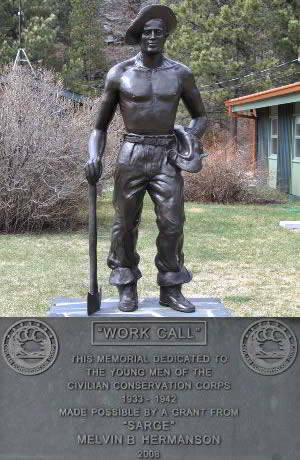 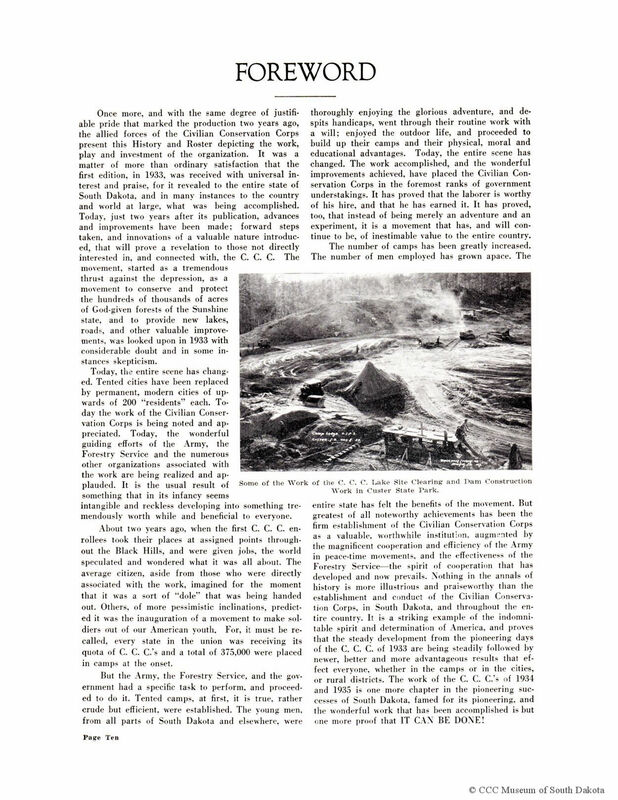 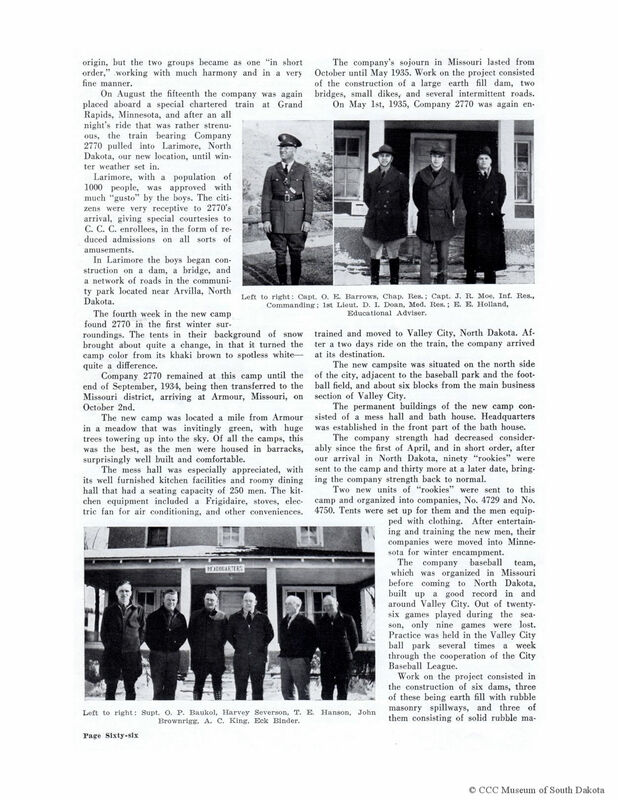 The annual has been reproduced and is available for reviewing at the CCC Museum in Hill City, SD.